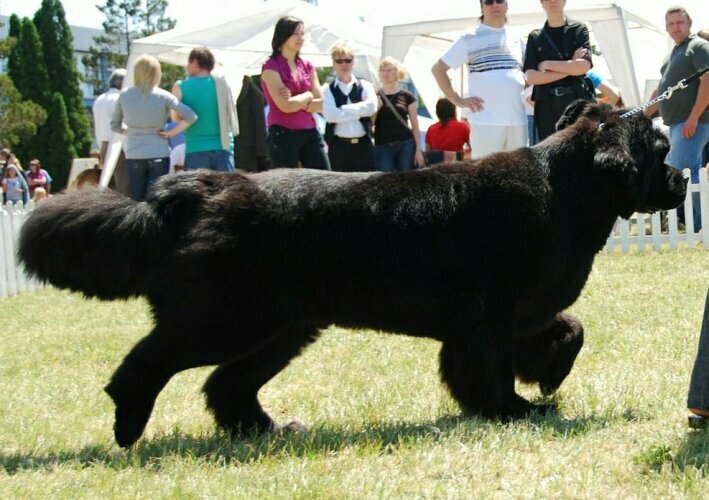 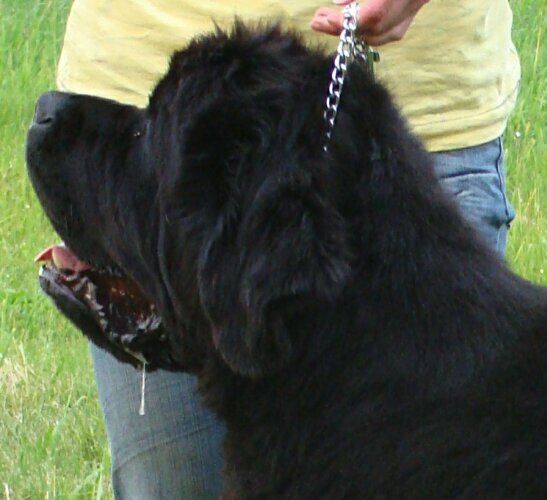 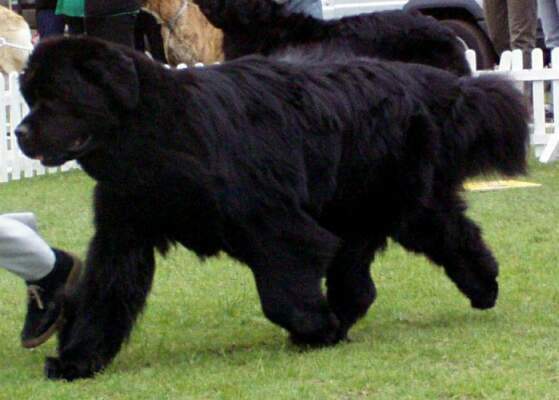 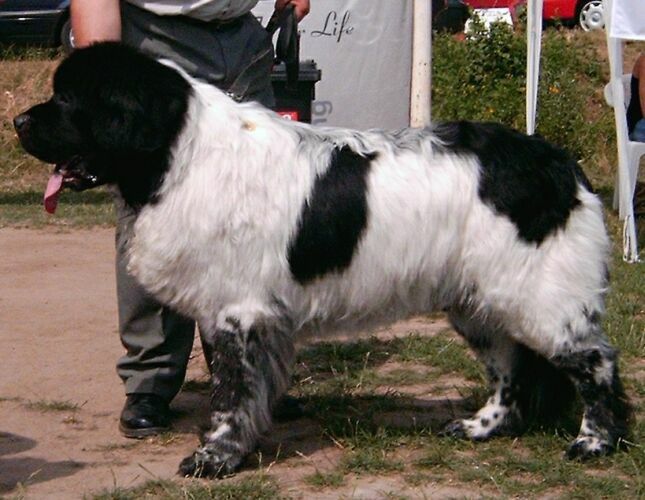 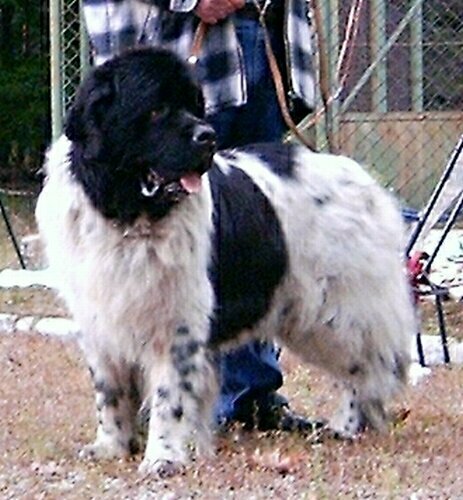 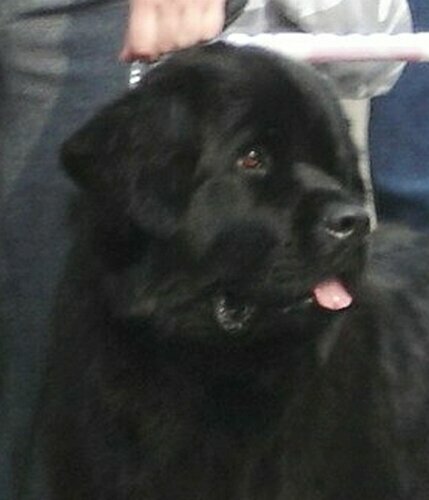 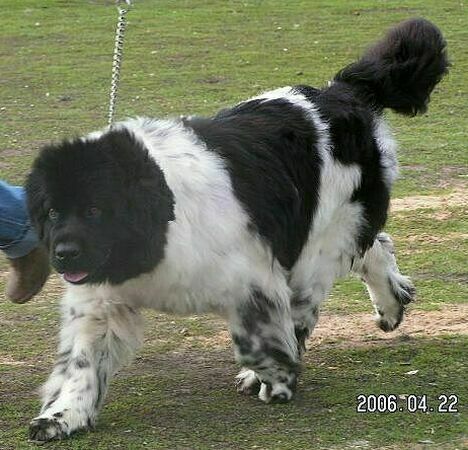 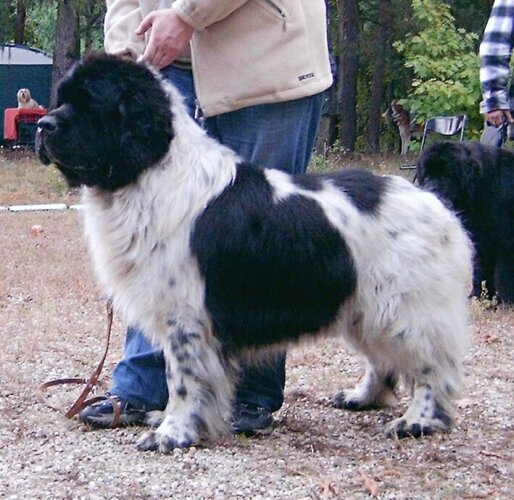 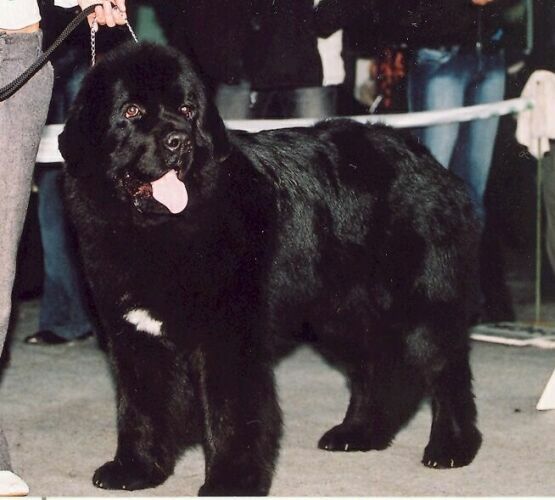 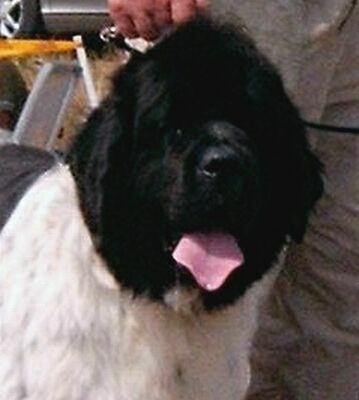 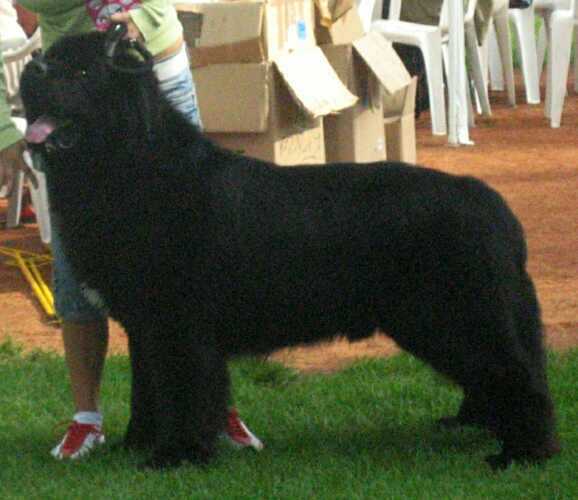 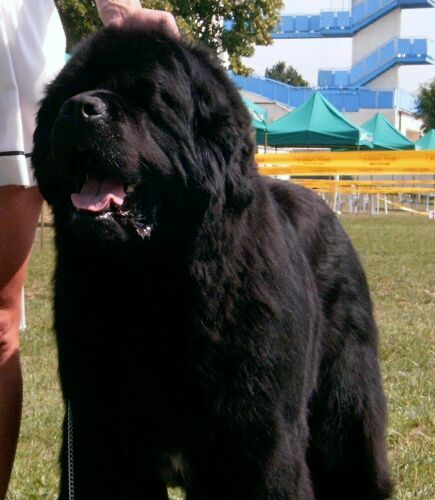 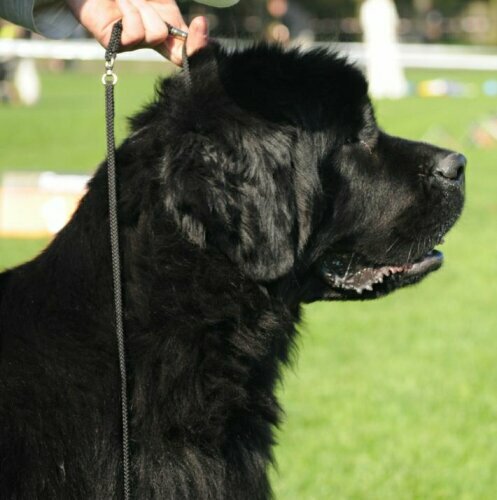 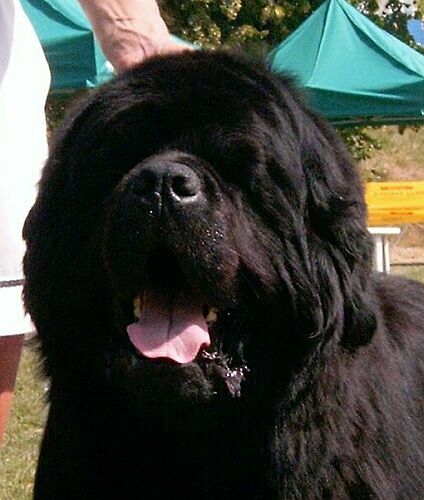 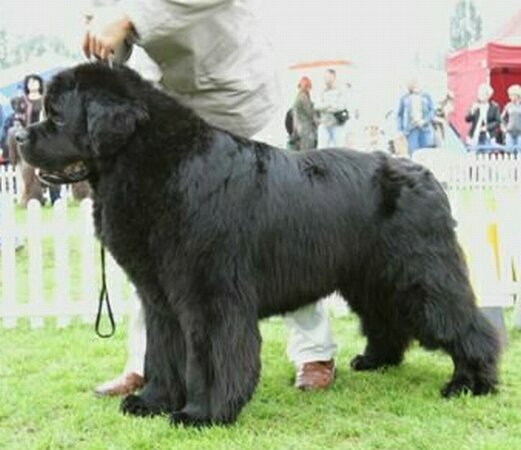 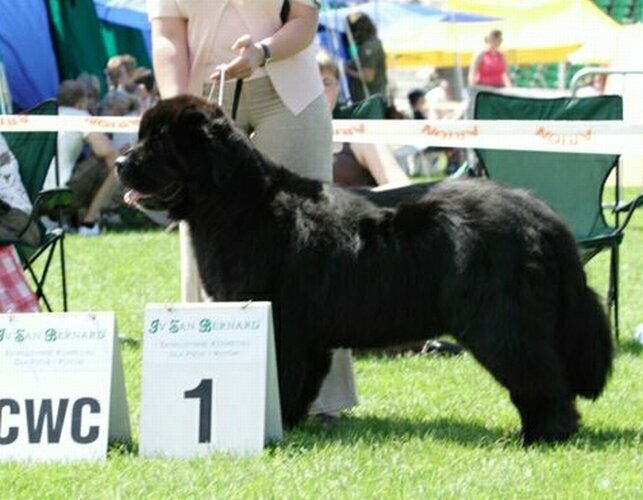 * The best Stud Dog - INTCH, MultiCH NEGRESCO NERO Wichrowe Łąki . 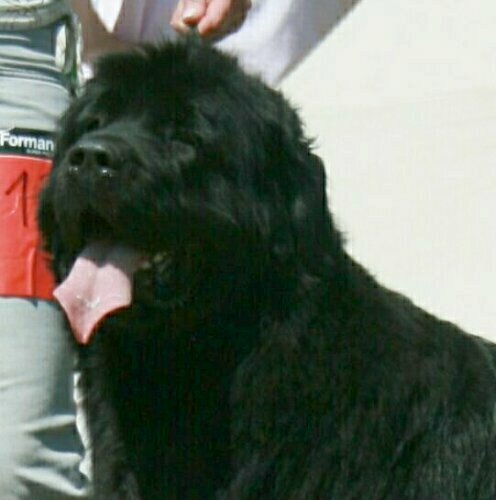 Congratulations to his owners!!! 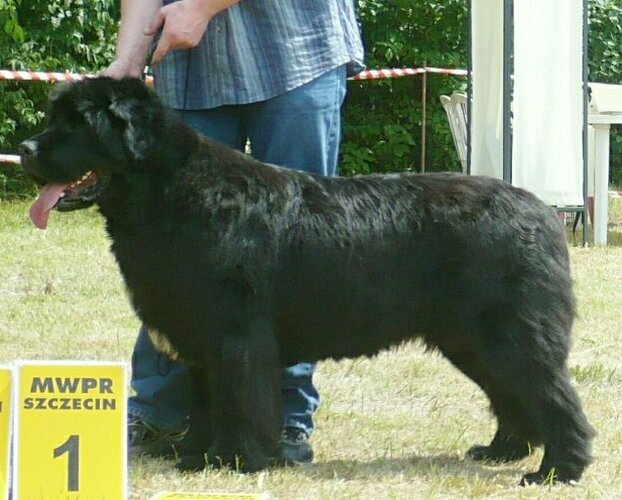 In the same category at the 6 place EUROPEAN Wichrowe Łąki, and at the 8 - CZARDAS WichroweŁąki, there were 32 males in this rancing. 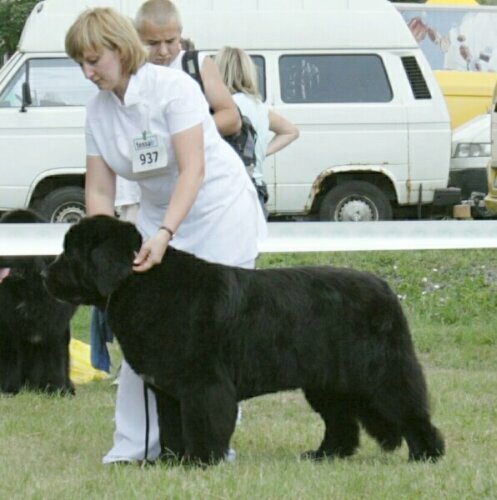 * The best Mother Female: PLJCH NIKE ATENA Wichrowe Łąki there were 48 females in this rancing. 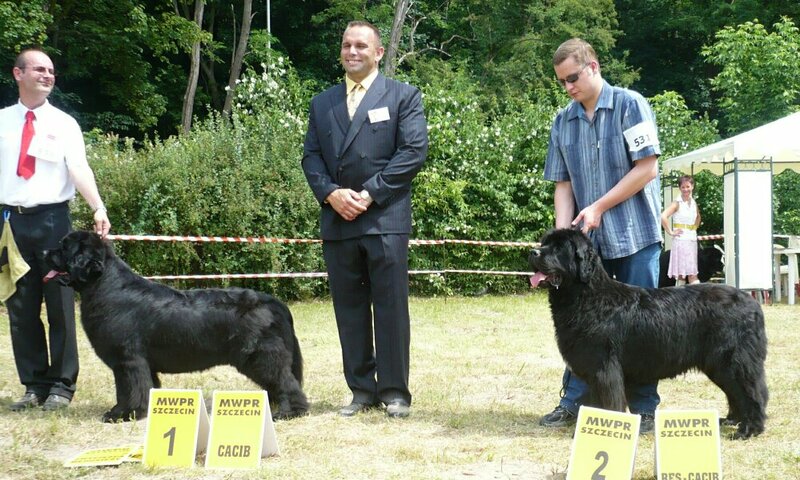 We congratulate to the owners of Atena, To Mr and Mrs Danka and Wojek Rozwadowscy. 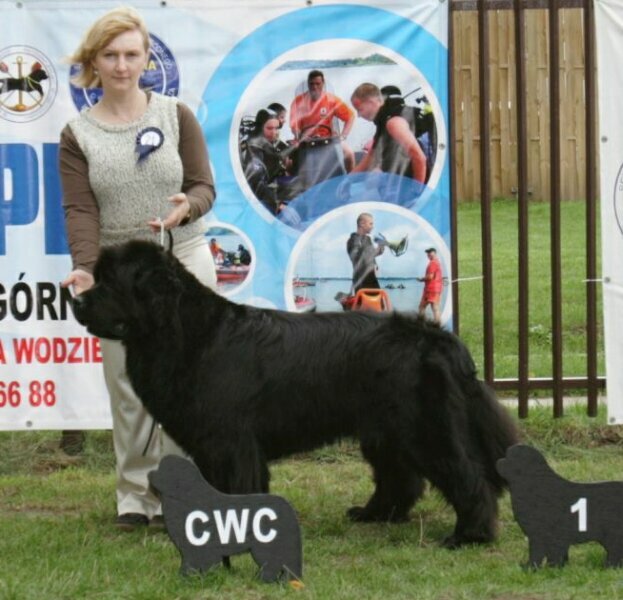 At the 3 place in the same category - PLJCH, PLCH SEA QUEEN Wichrowe Łąki, and 10 and 11 place occupied - PLJCH, PLCH NIGHT NEMESIS Wichrowe Łąki and STOKROTKA POLNA Wichrowe Łąki . 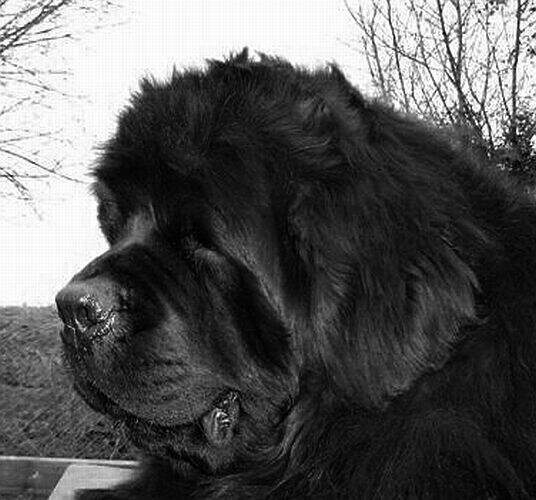 At the 4 place was the mother of NEGRESCO NERO, SEA QUEEN, NOC NEMEZIS and STOKROTKA POLNA - PLJCH HALSZKA KNIAZIOWNA Wichrowe Łąki. 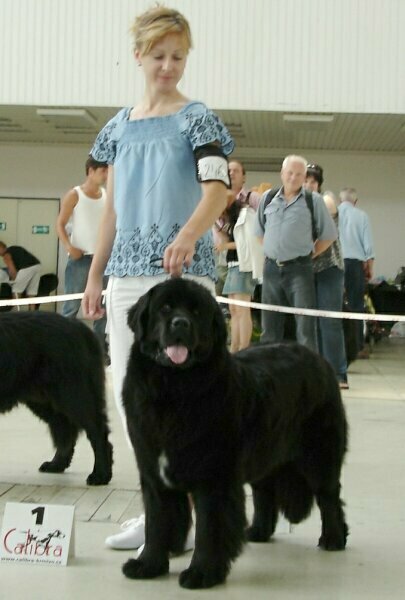 She was at the 1 place in rancing at 2000, 2001, 2002 and 2003. 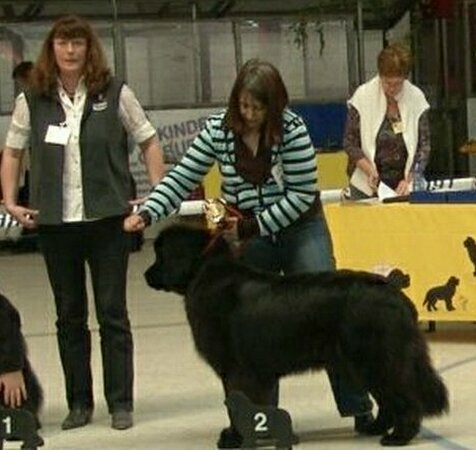 It was the great success and it will be very difficult to break this record. 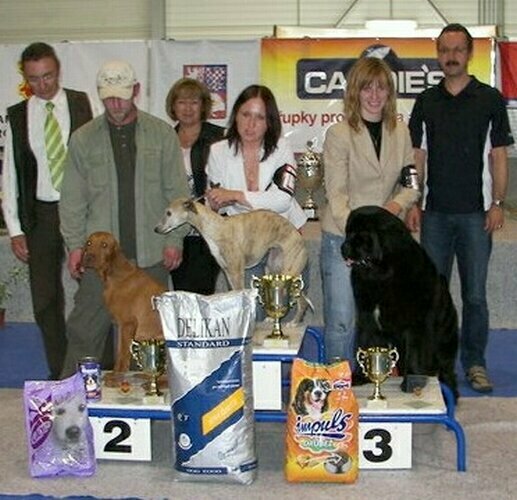 * At the 2 place in the category of 'the Best Male' was JPLCH PRINCE PEPI Wichrowe Łąki and at the 7 place was JPLCH ROZMARYN BIS Wichrowe Łąki. 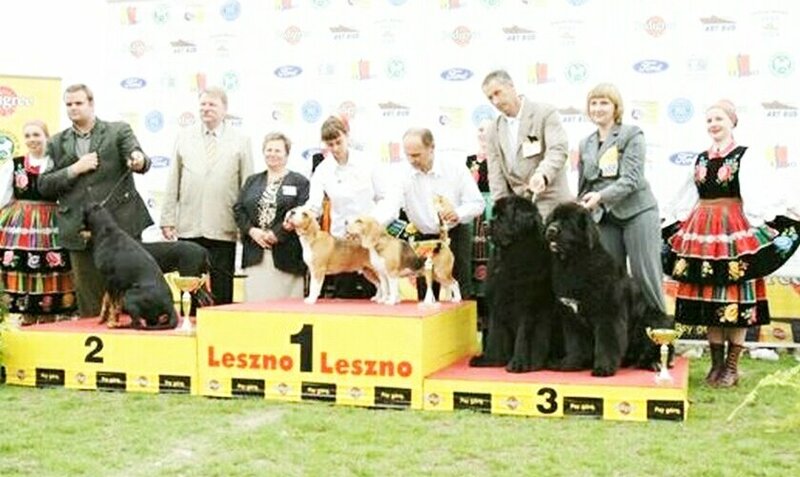 * The kennel Wichrowe Łąki was taken the 3 place. 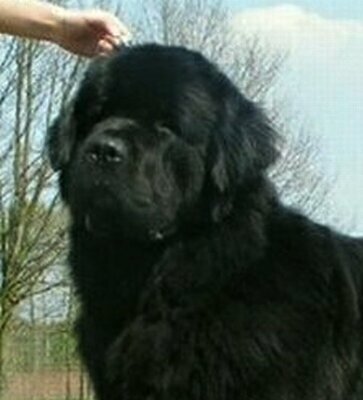 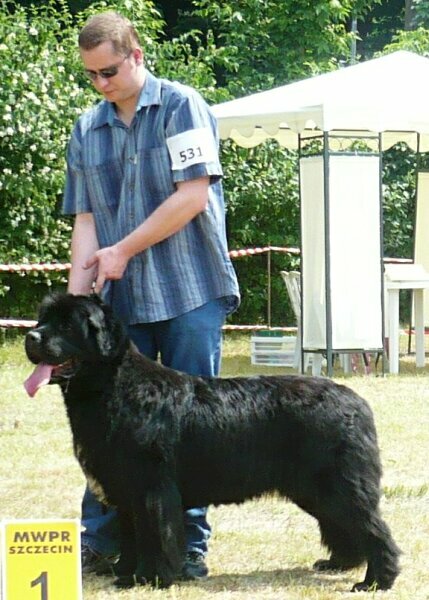 * We are breeders of Newfoulands about 30 years already. 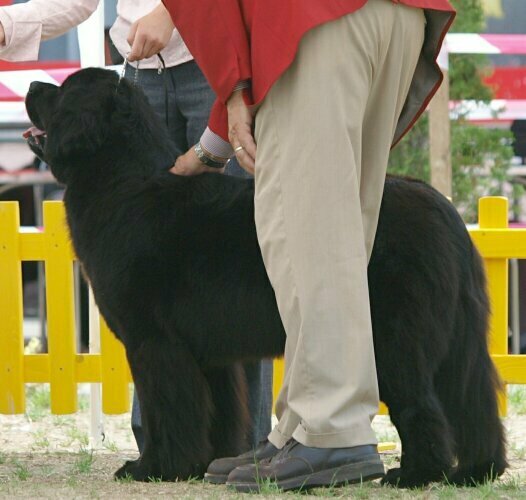 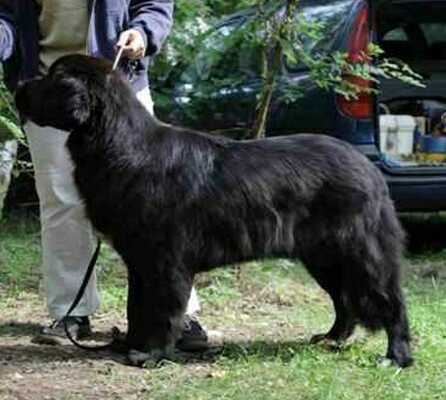 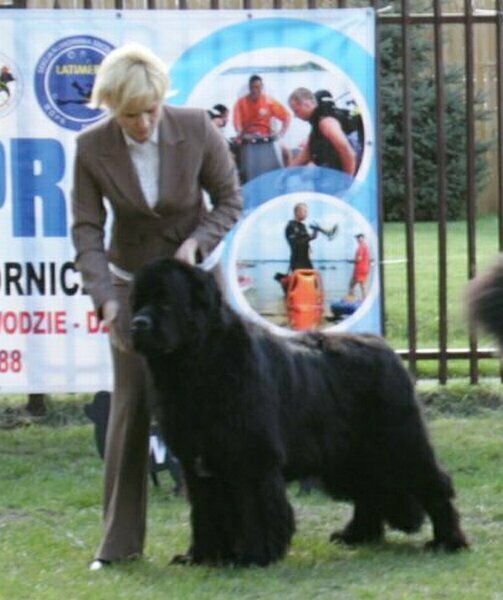 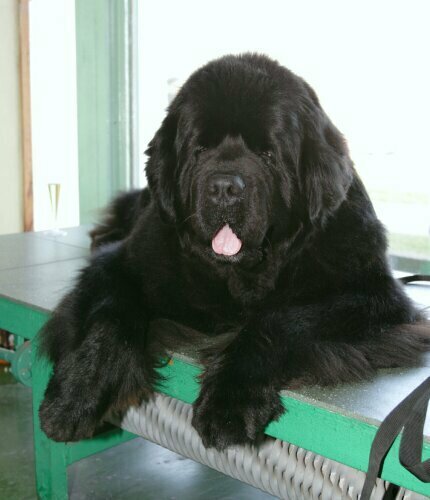 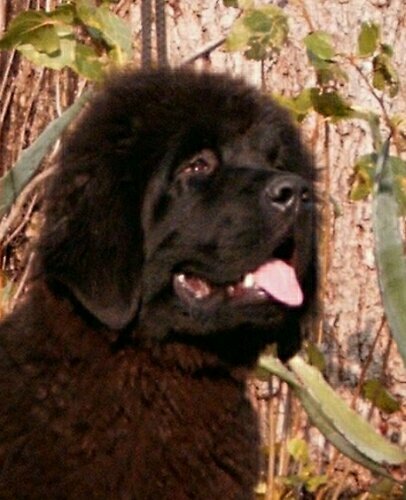 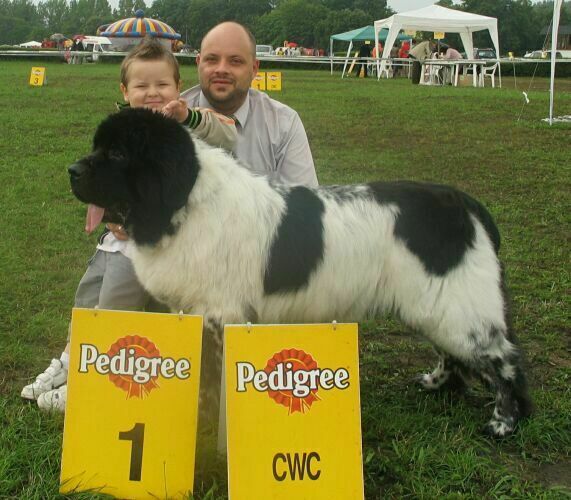 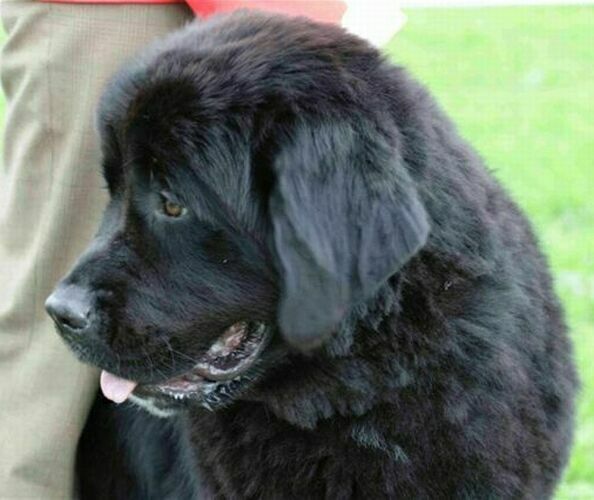 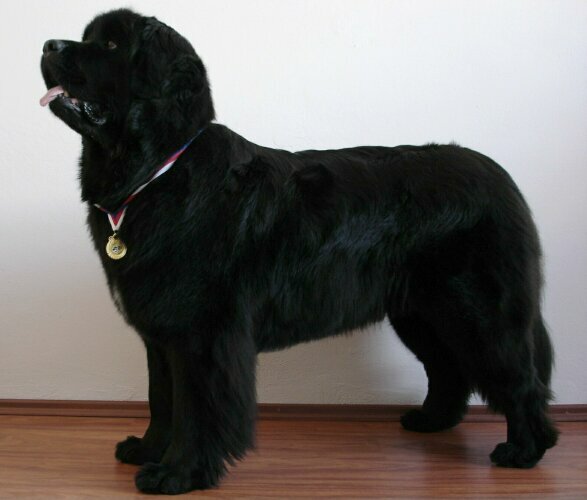 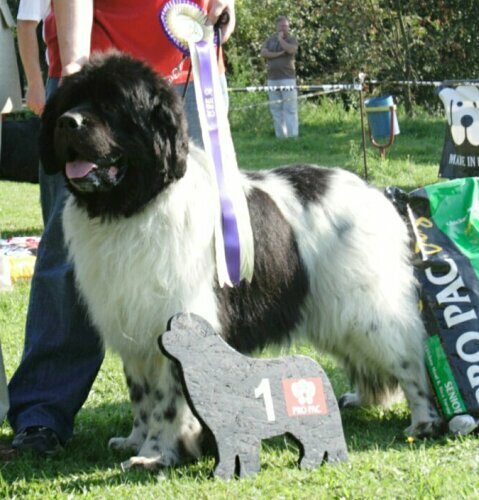 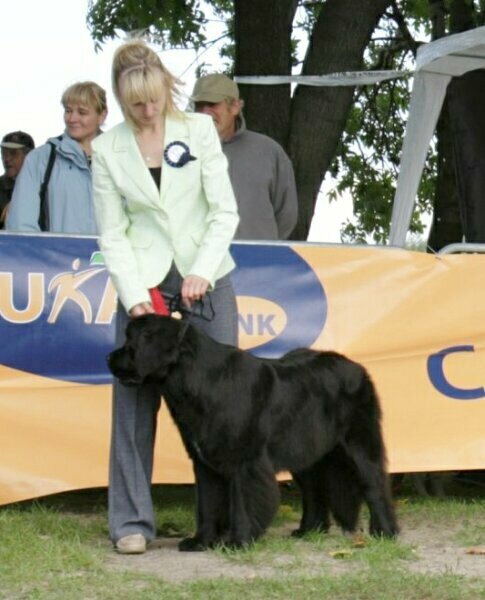 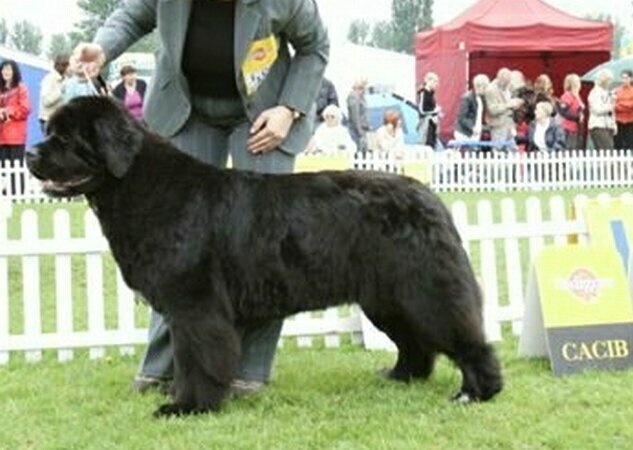 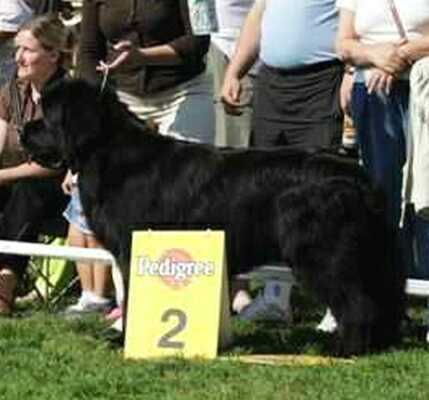 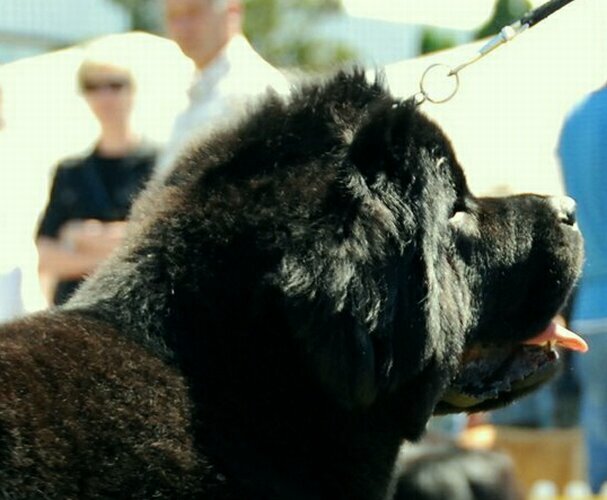 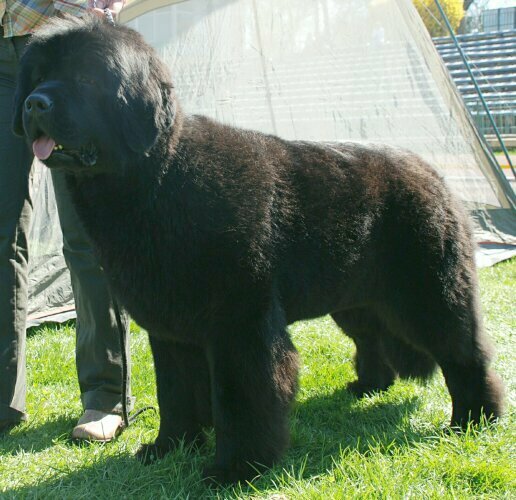 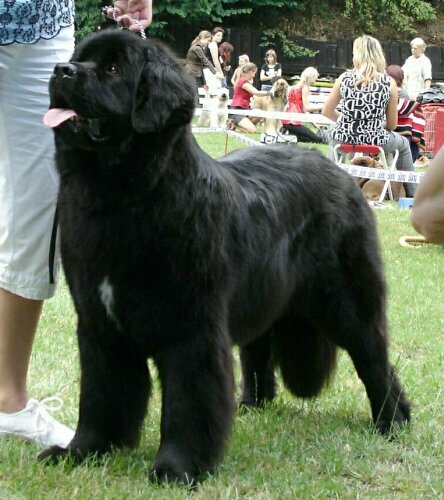 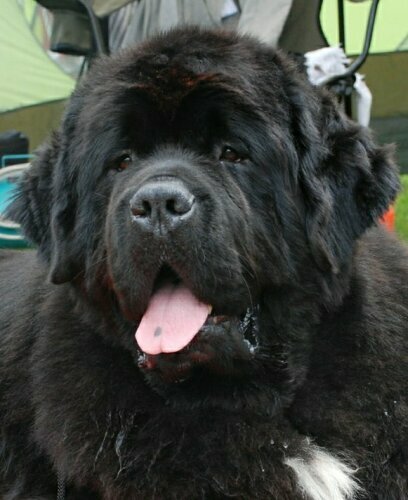 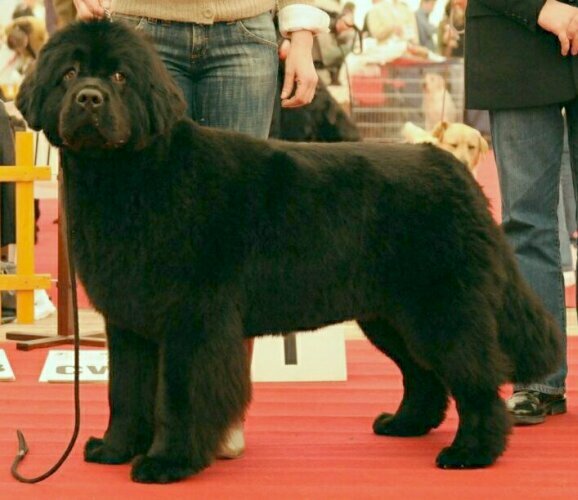 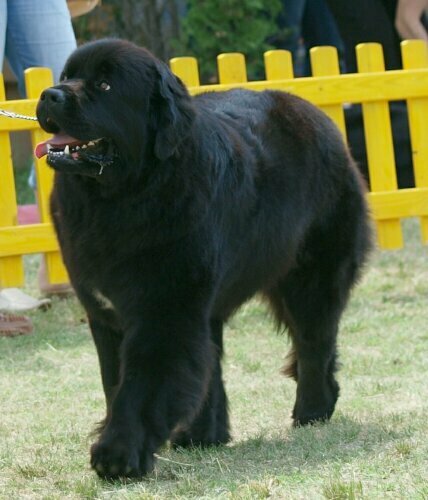 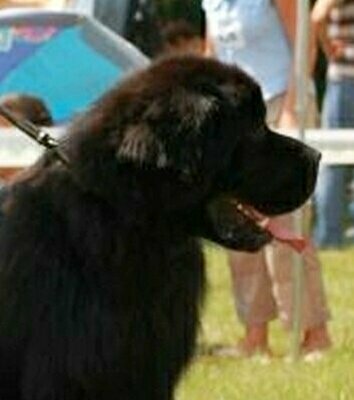 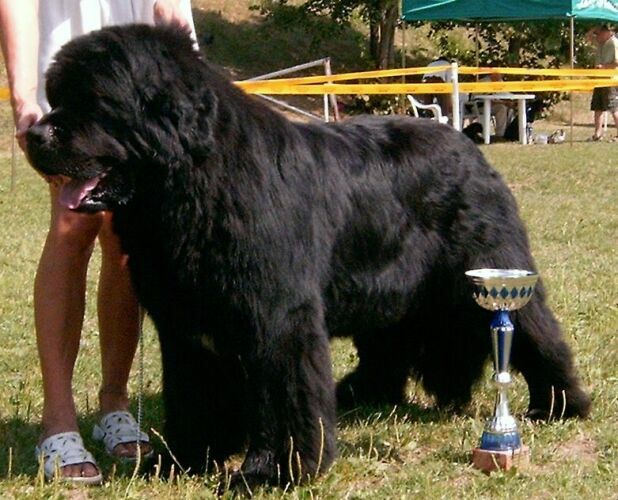 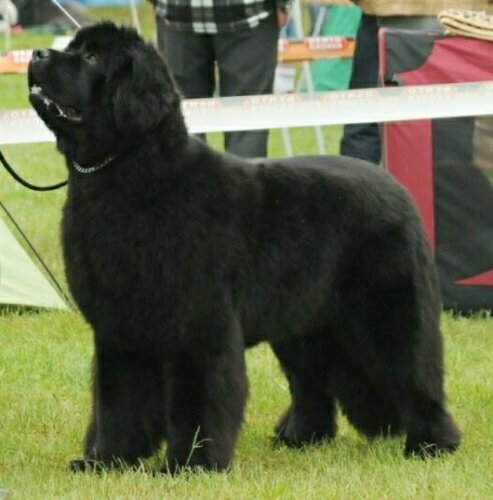 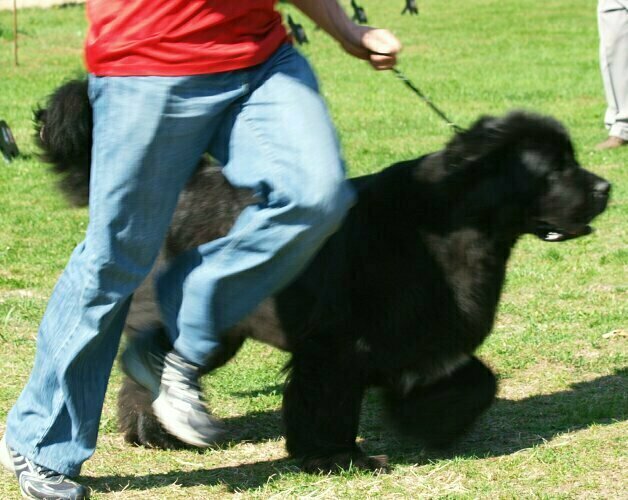 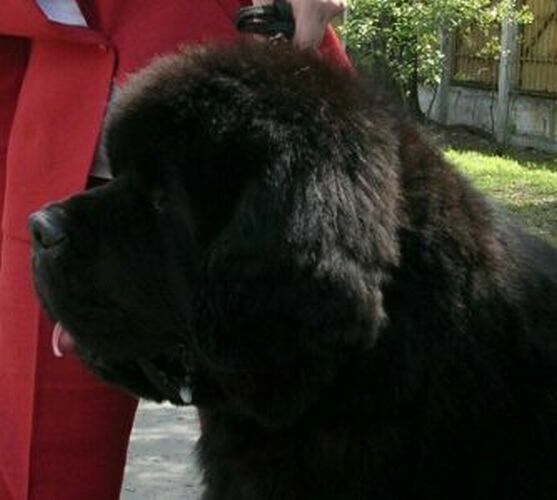 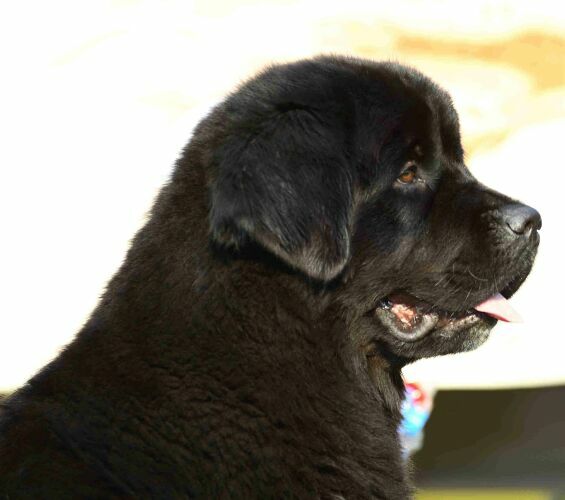 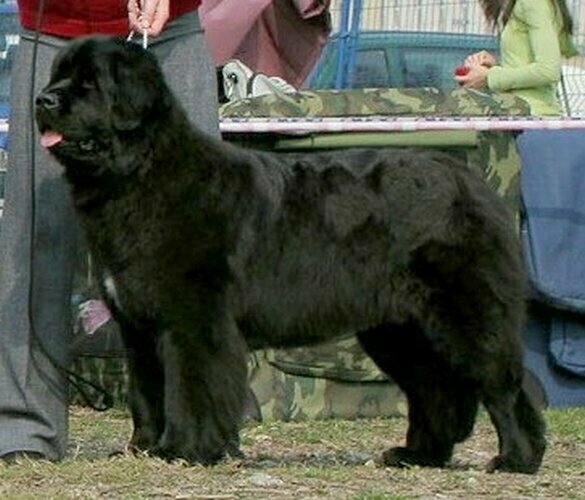 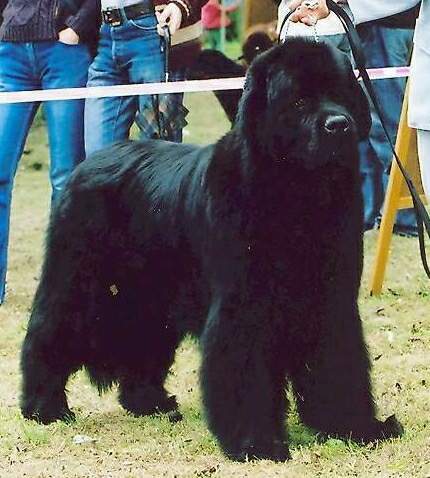 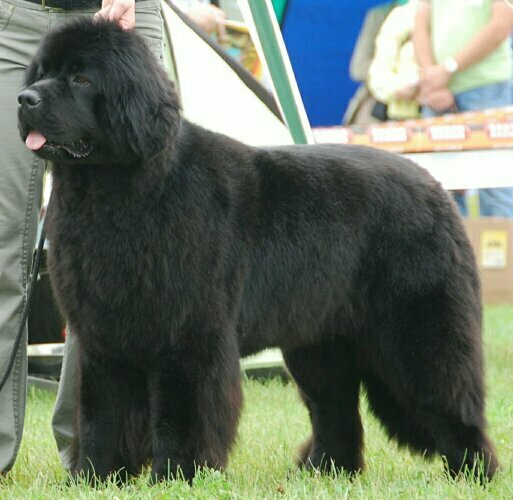 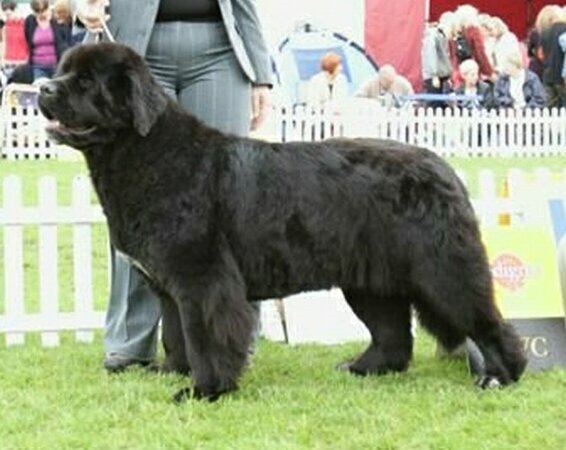 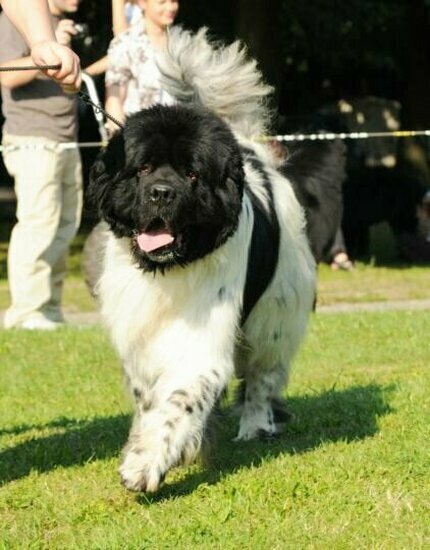 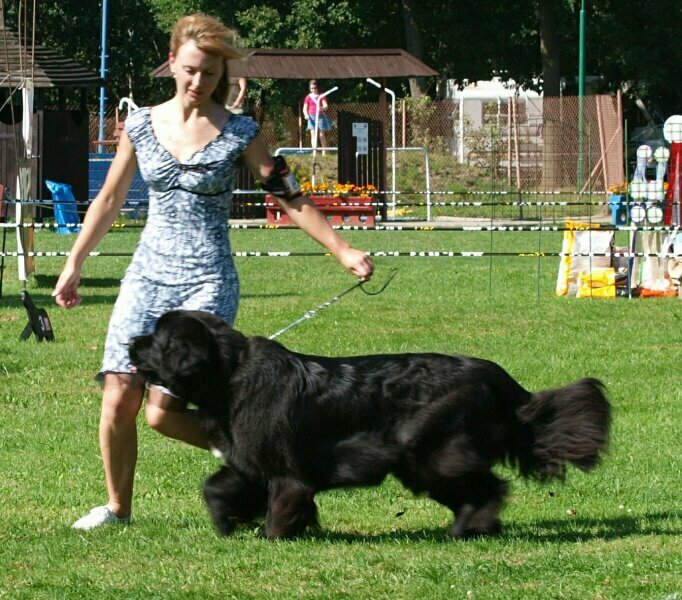 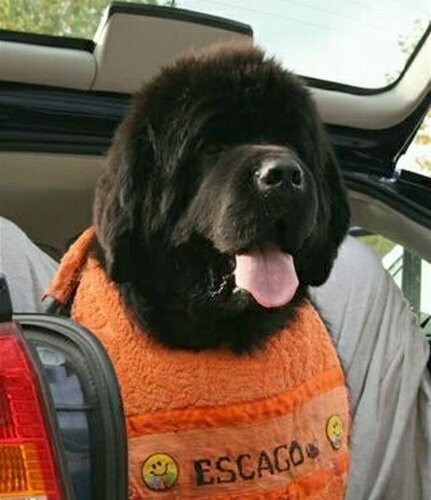 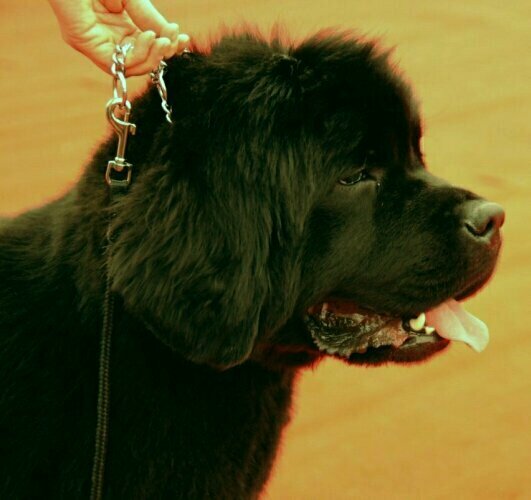 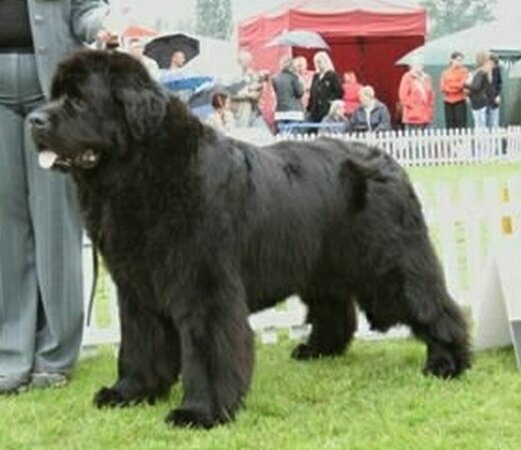 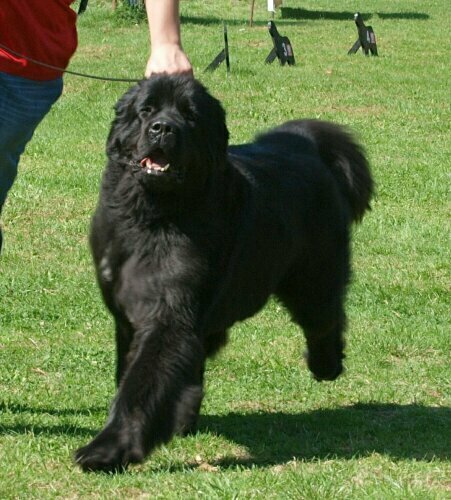 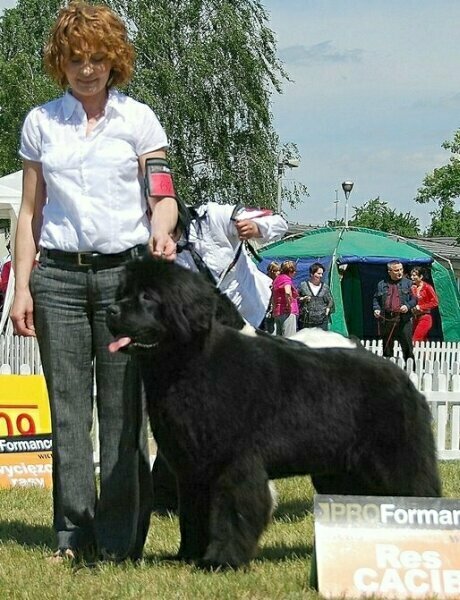 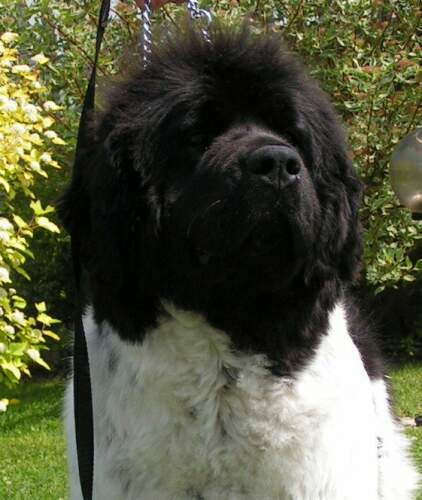 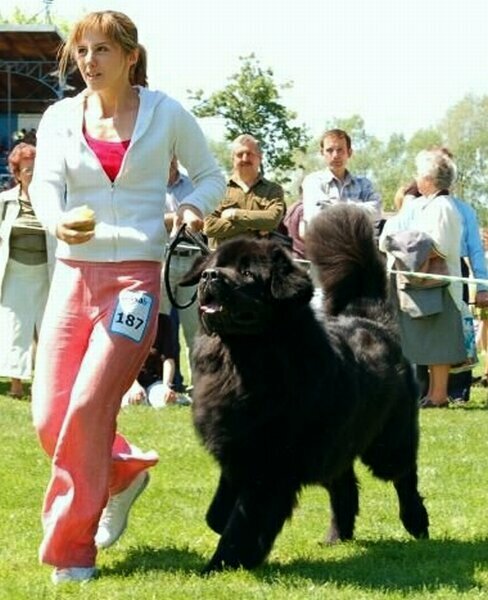 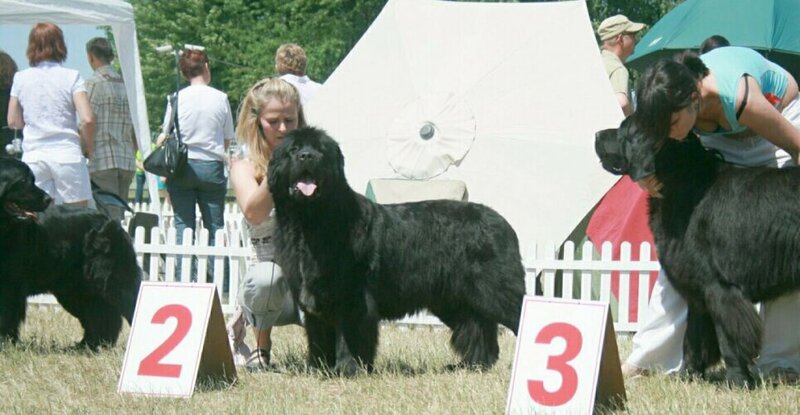 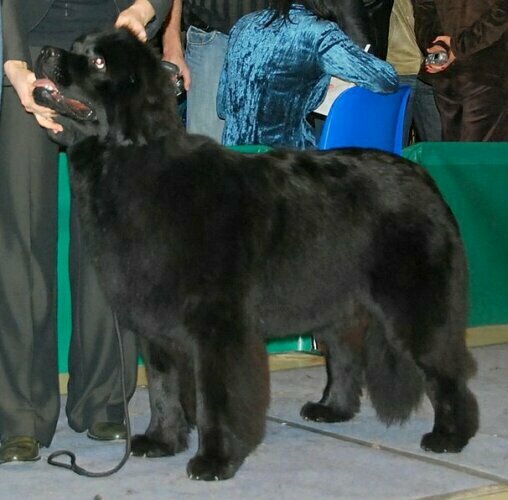 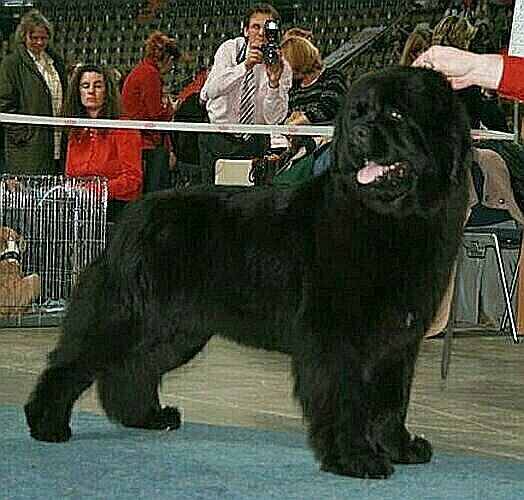 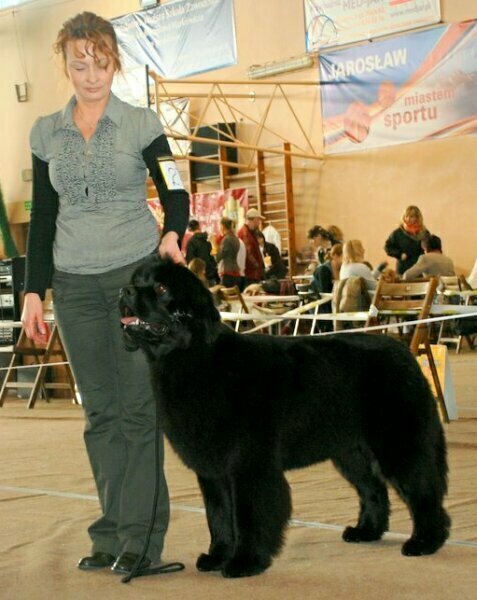 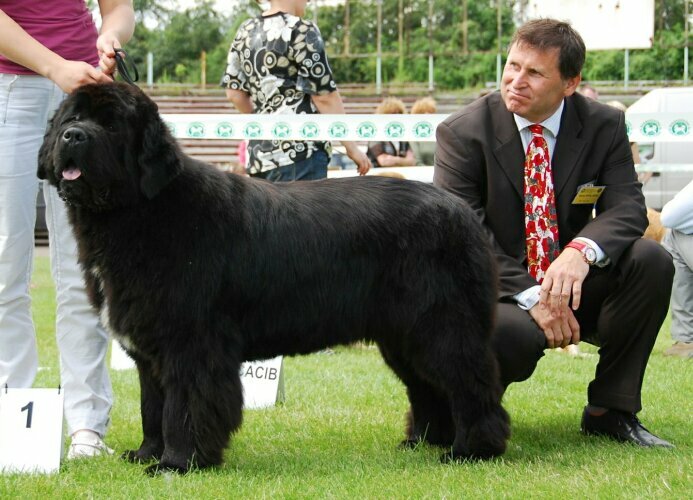 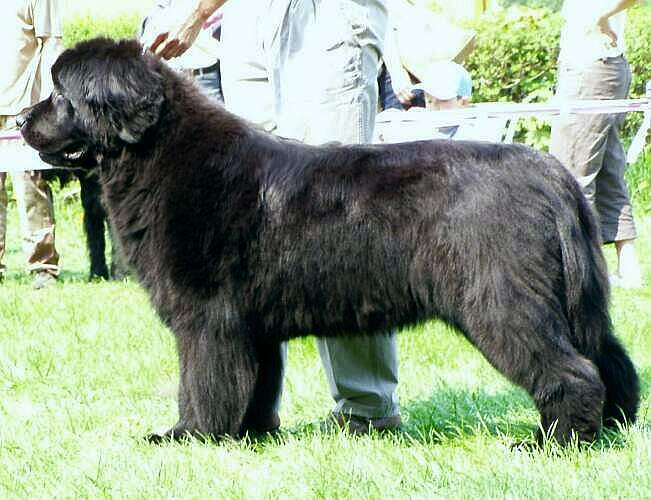 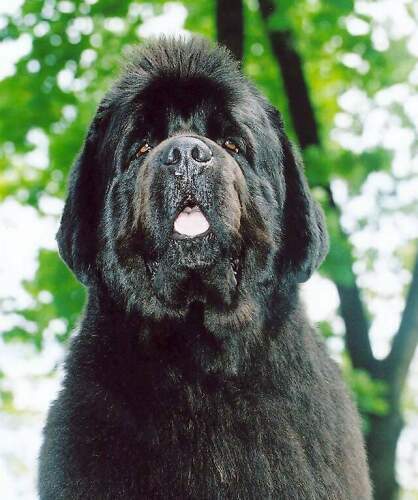 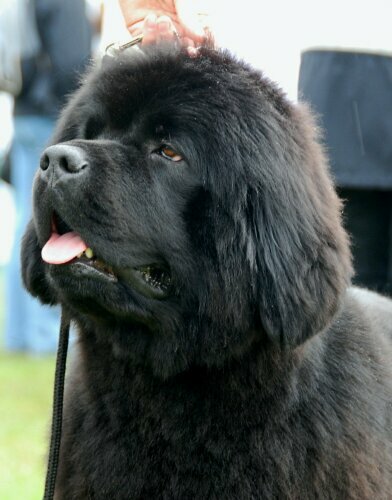 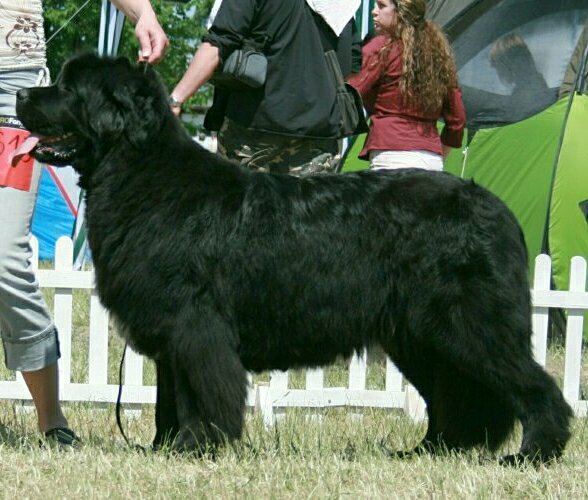 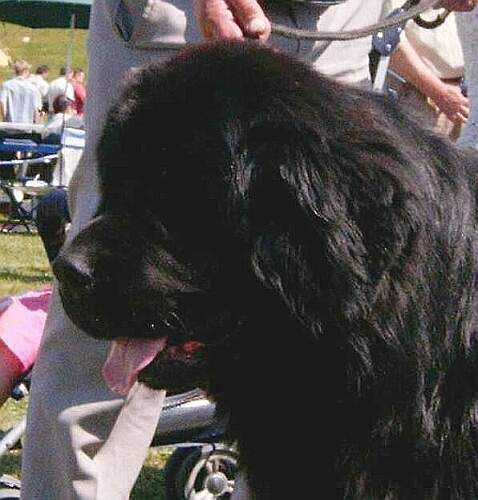 It is the great satisfaction to awere of positive effect not only for our kennel but also for all population of Newfoundlands in Poland. 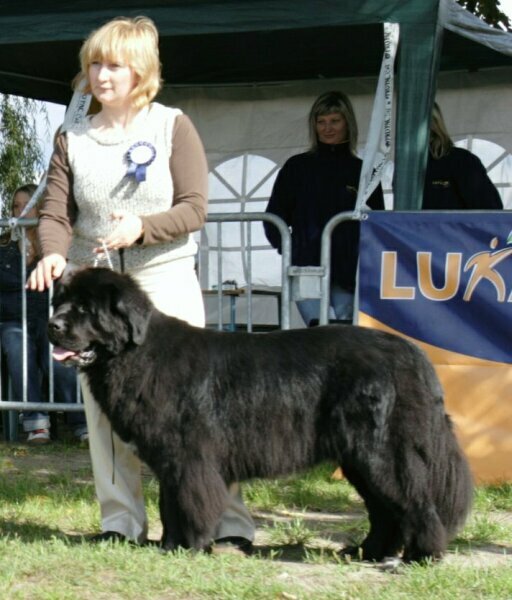 * The Best Mother Female: PLJCH HALSZKA KNIAZIOWNA Wichrowe Łąki. 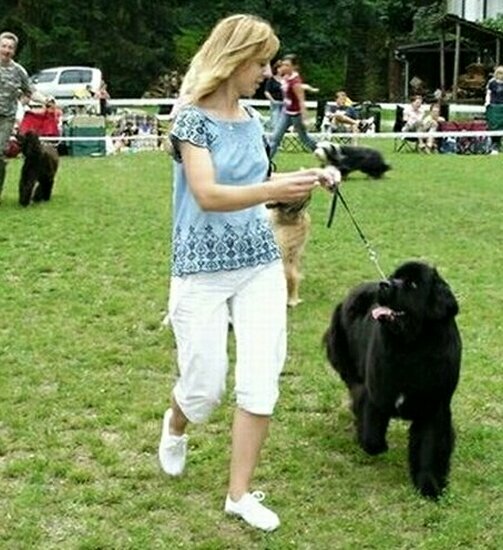 She was the Best Mother 4 times. 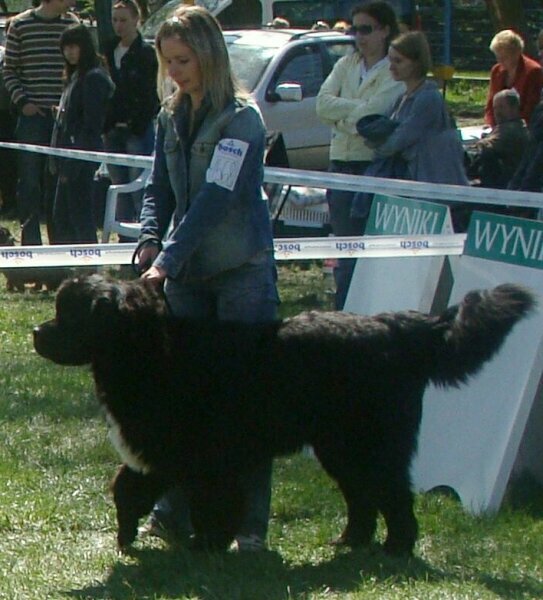 The daughter of HALSZKA KNIAZOWNA: PLJCH NIKE ATENA Wichrowe Łąki was taken the second place. 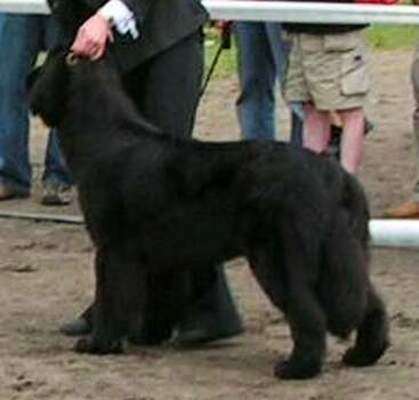 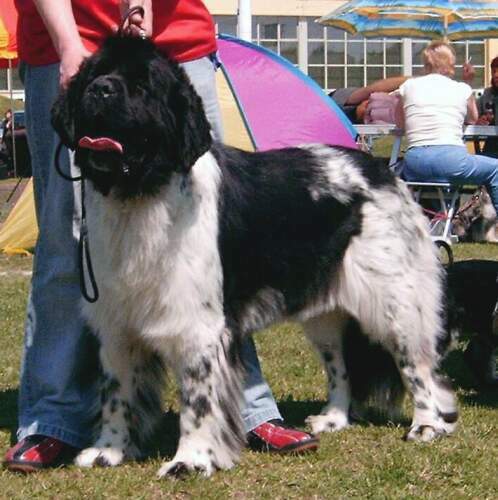 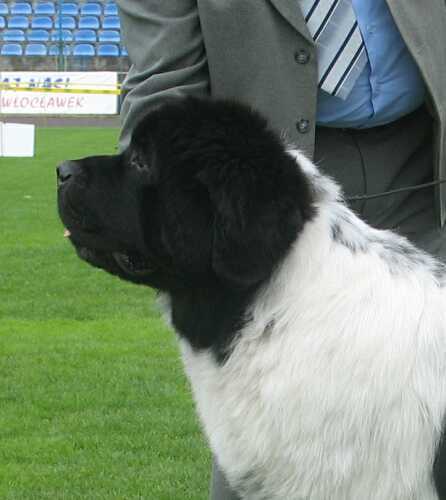 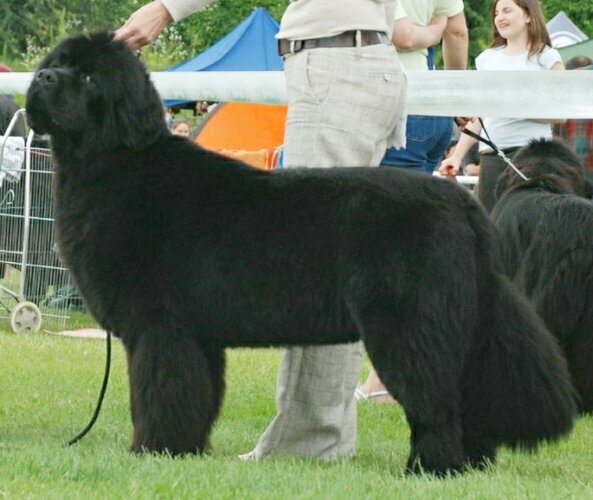 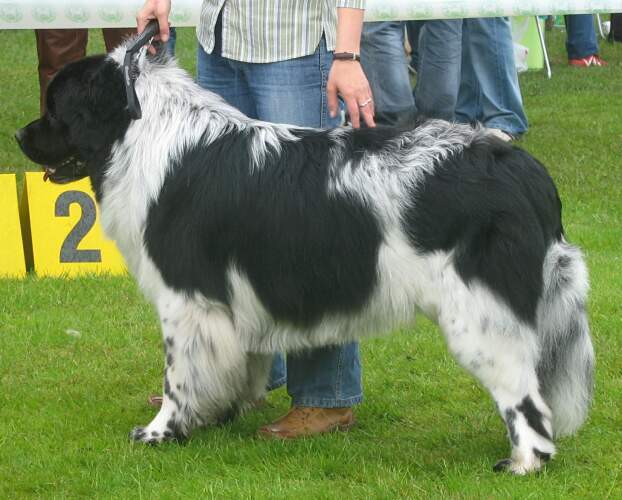 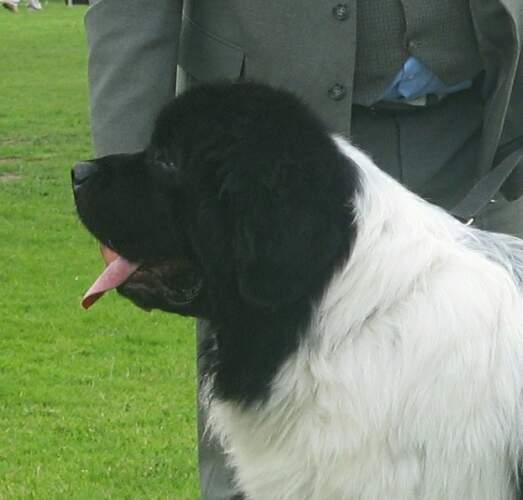 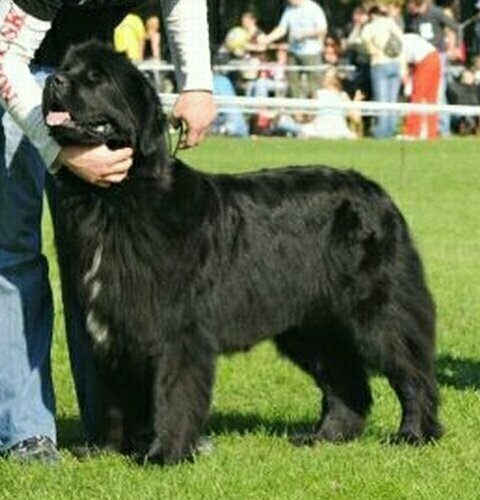 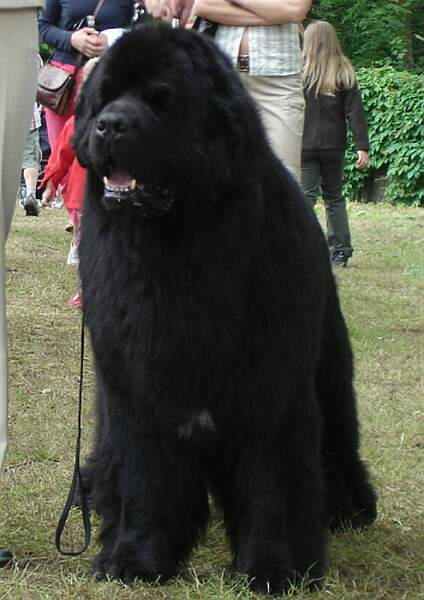 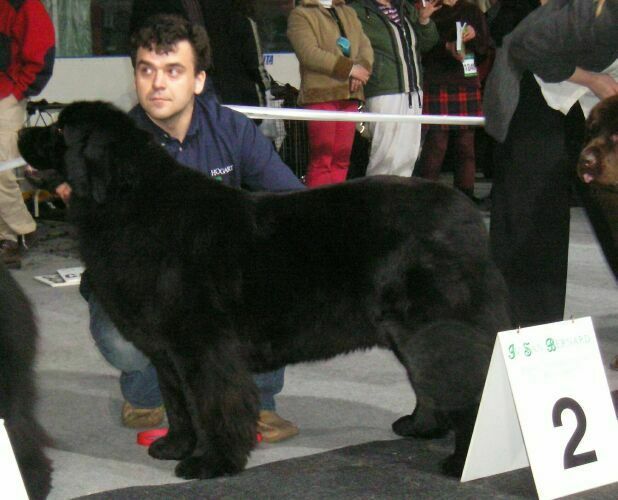 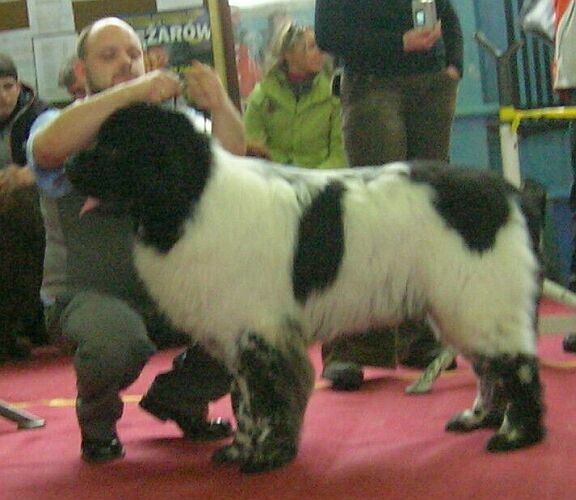 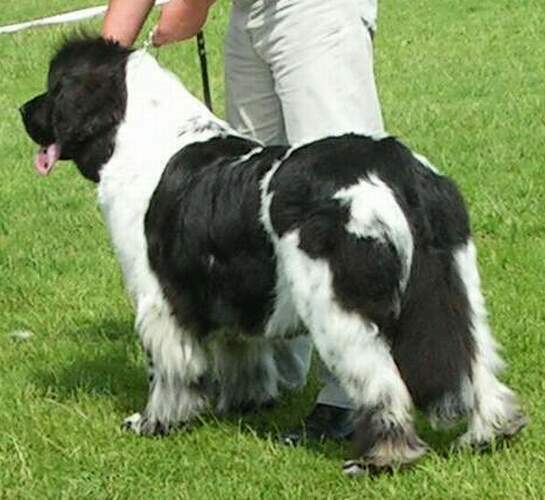 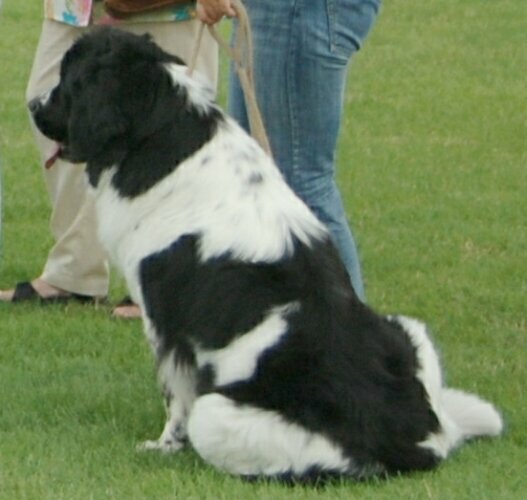 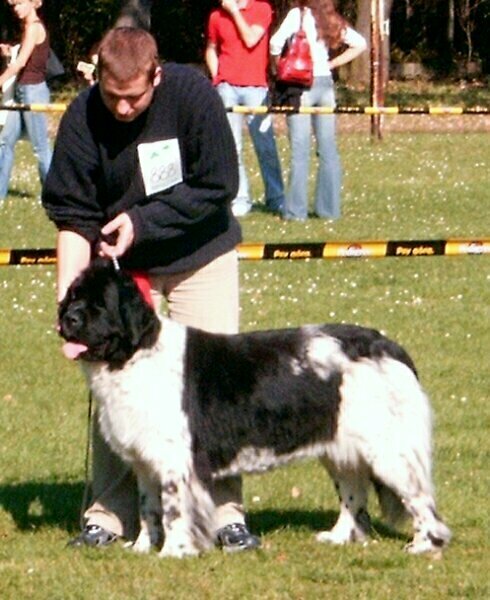 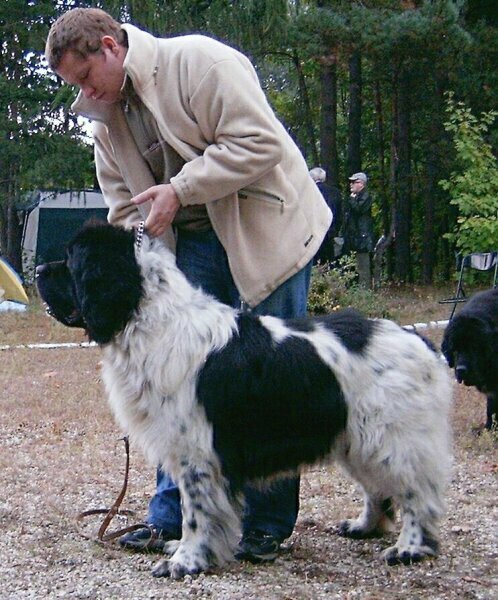 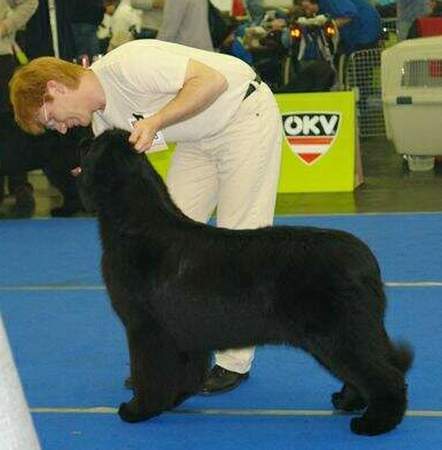 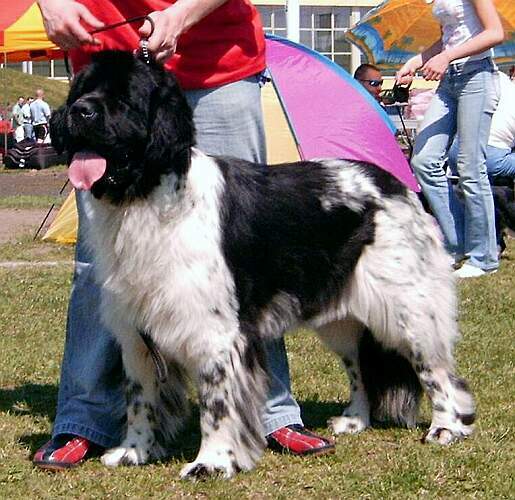 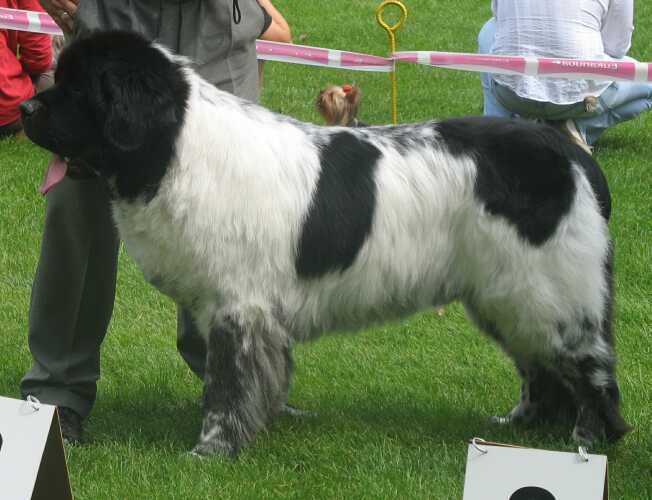 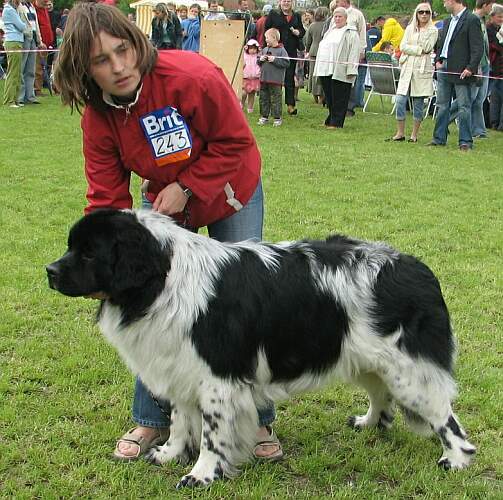 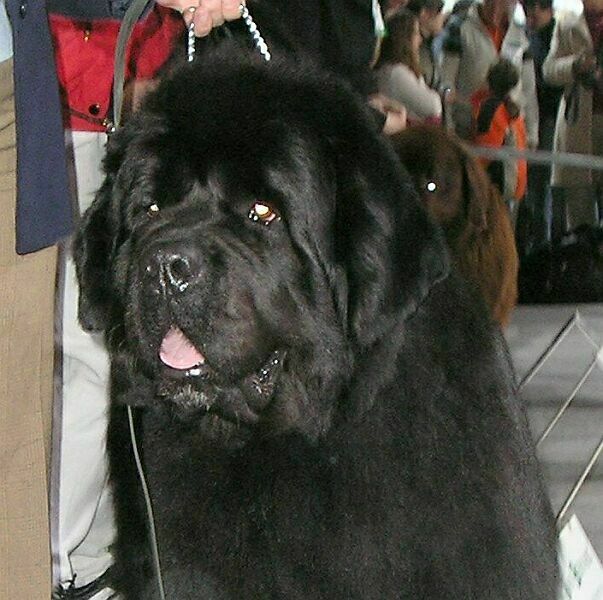 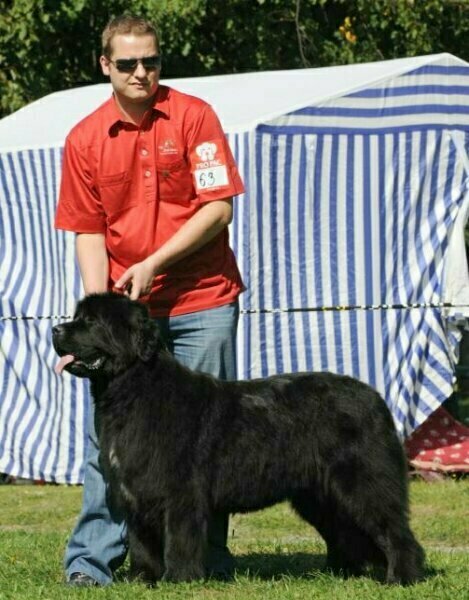 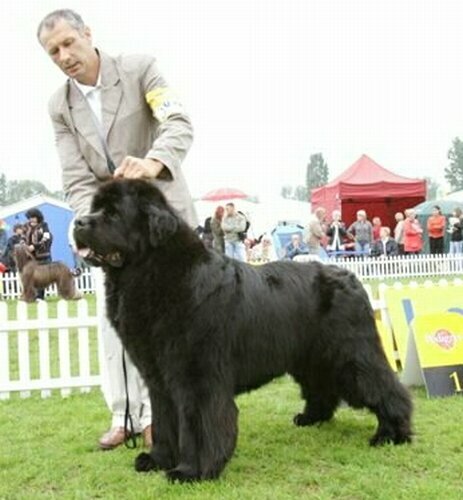 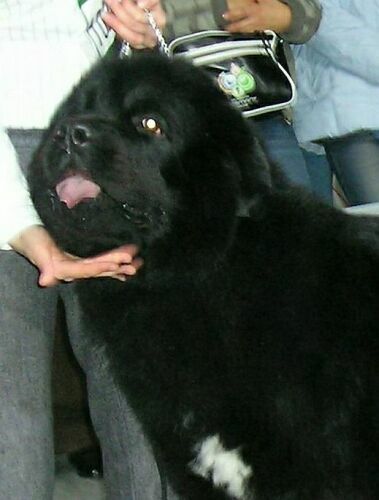 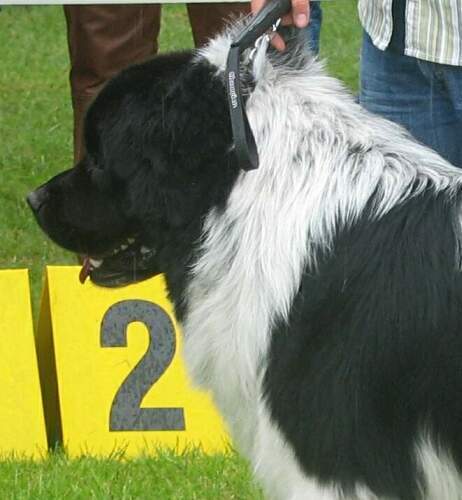 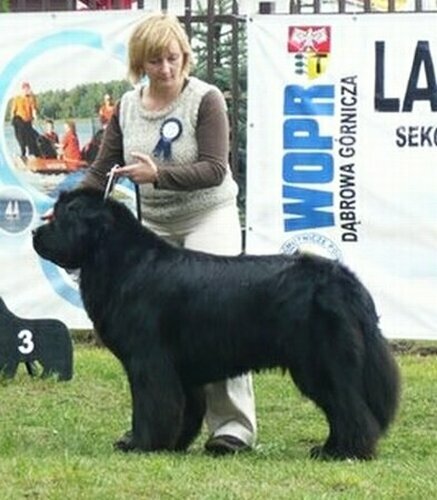 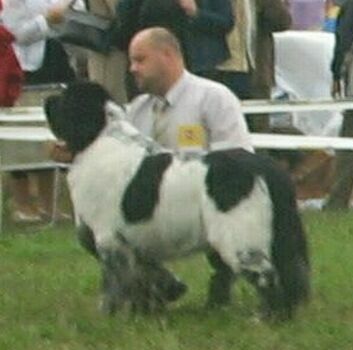 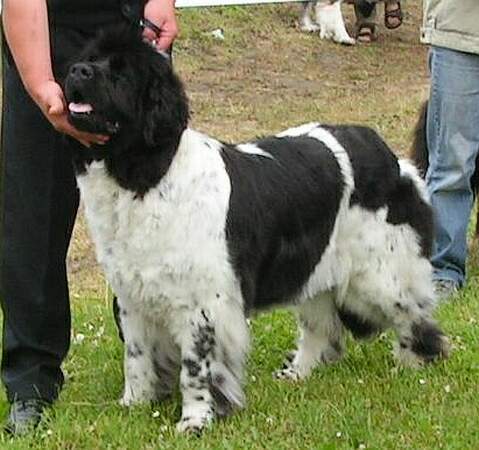 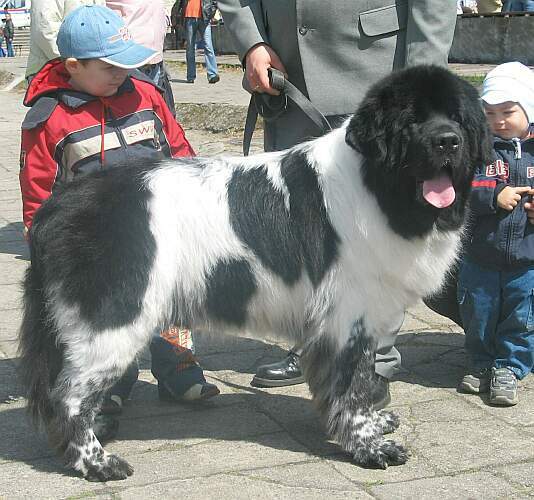 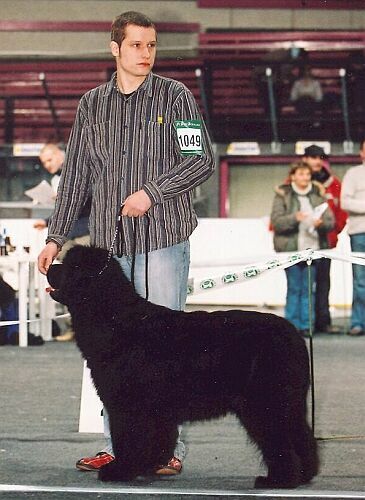 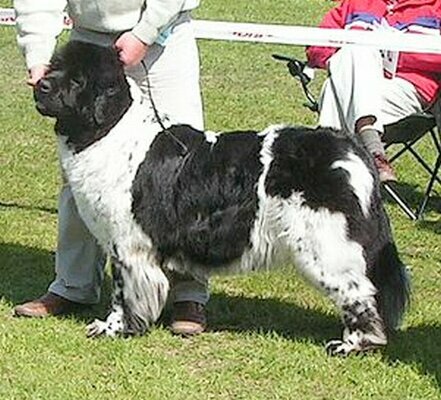 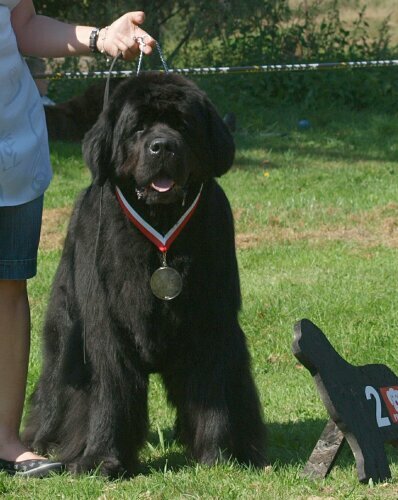 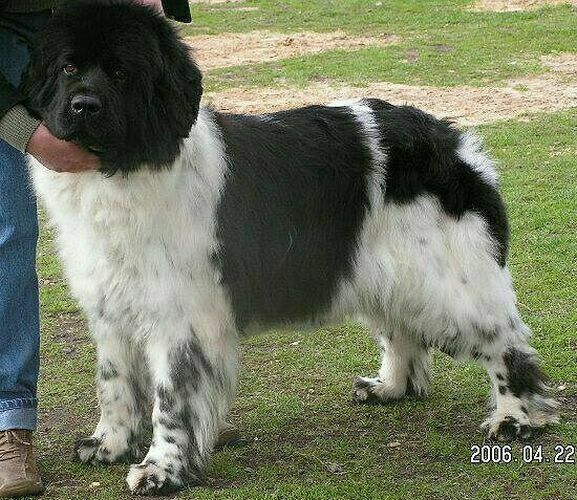 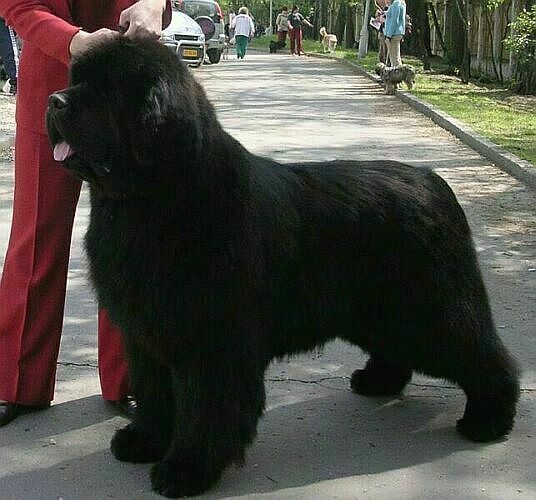 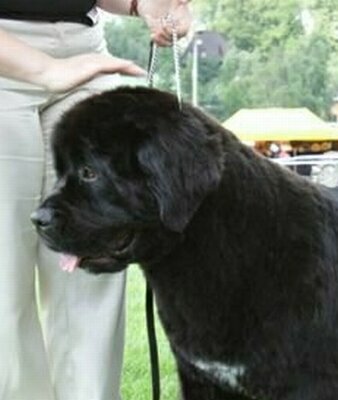 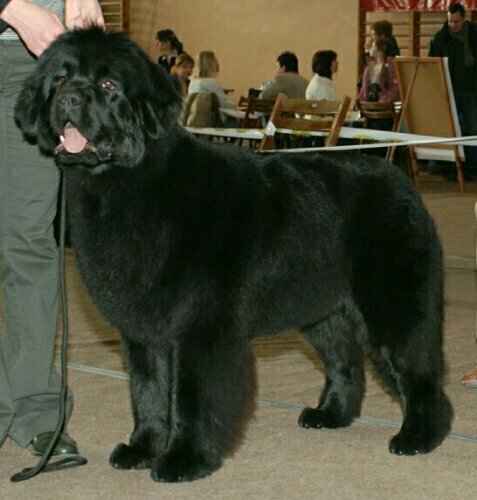 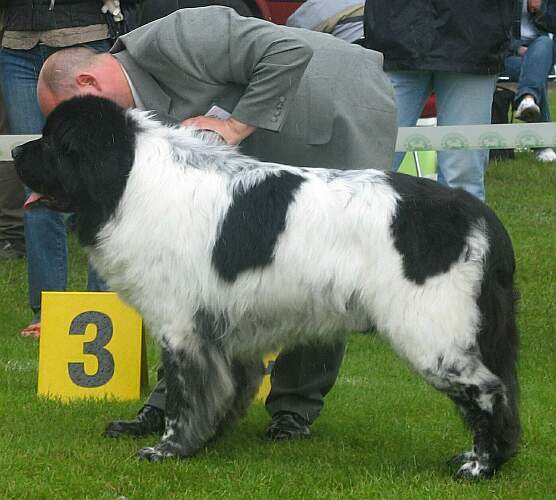 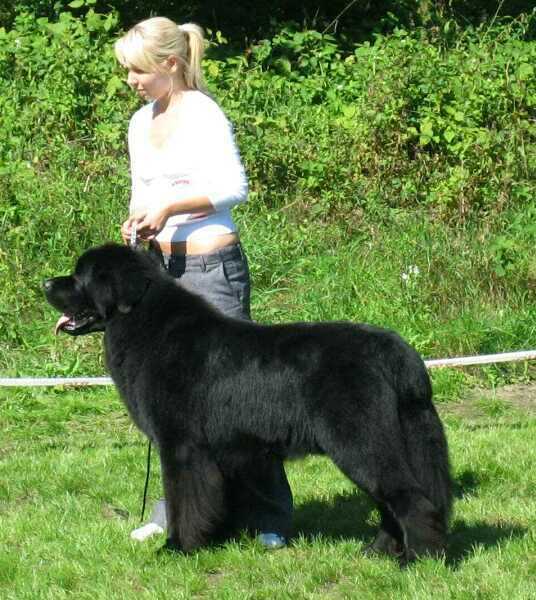 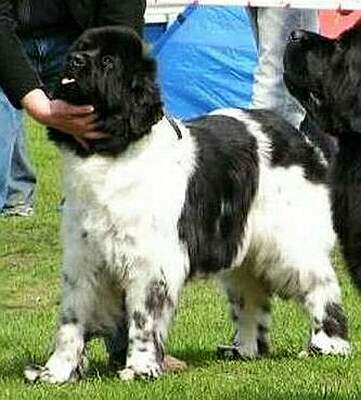 Male: LA PAZ DUET Wichrowe Łąki, Best Junior in Breed. 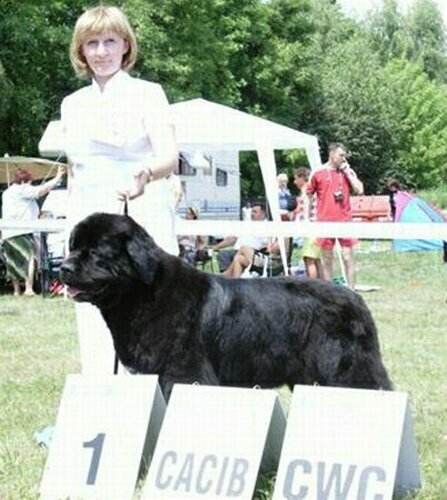 Male: LOKIS DUET Wichrowe Łąki, Best Junior in Breed. 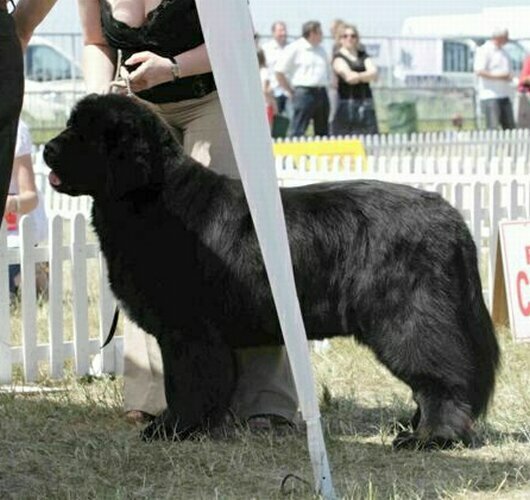 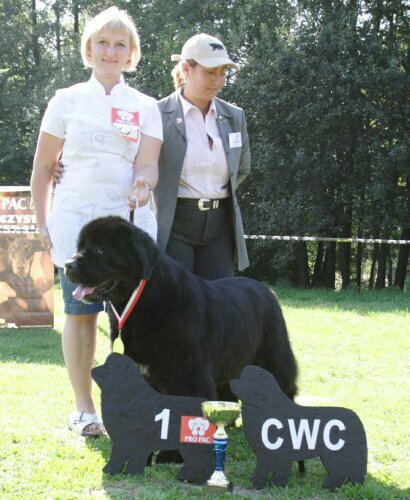 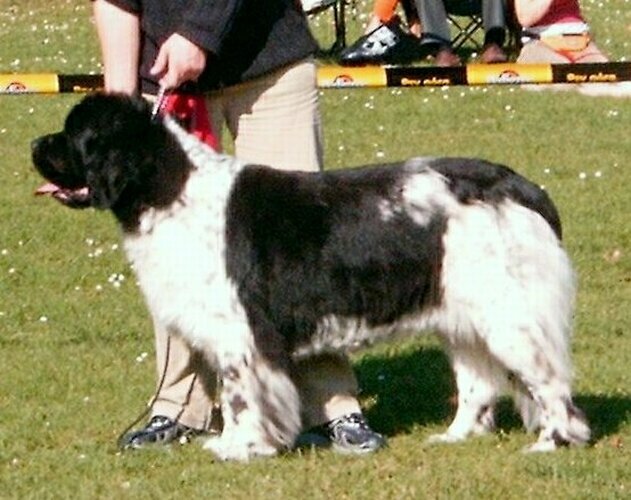 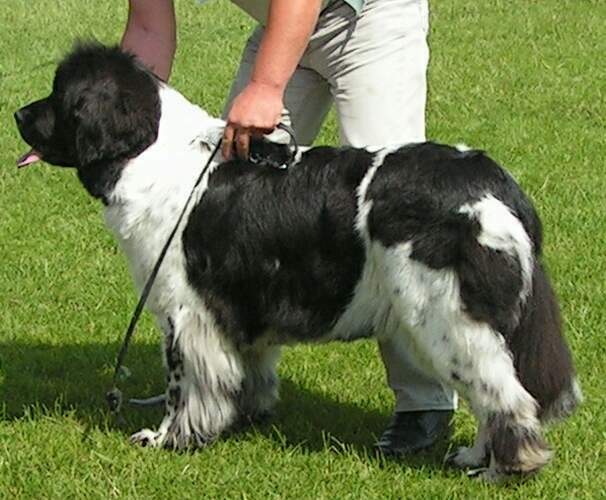 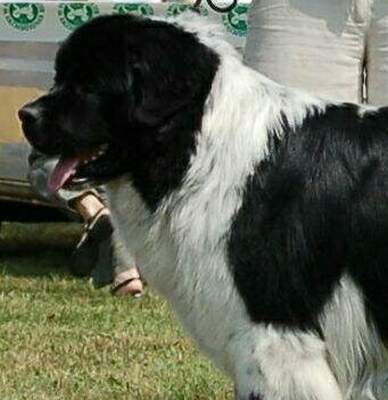 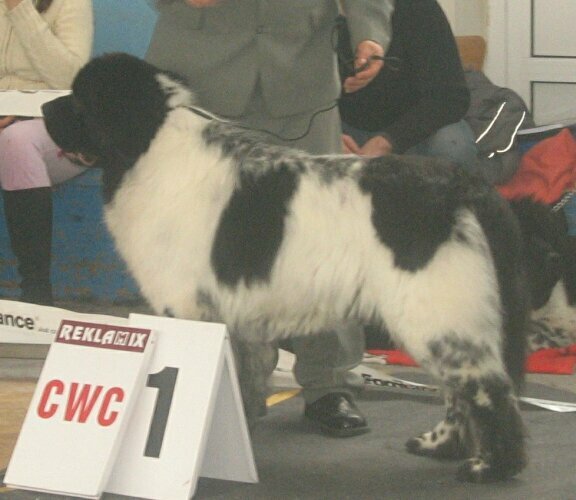 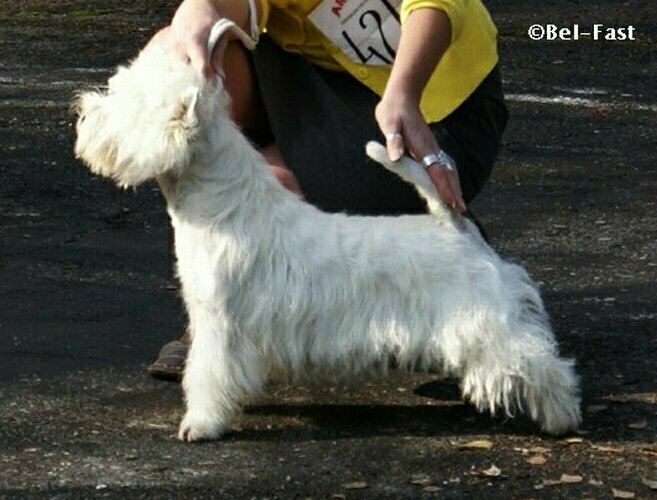 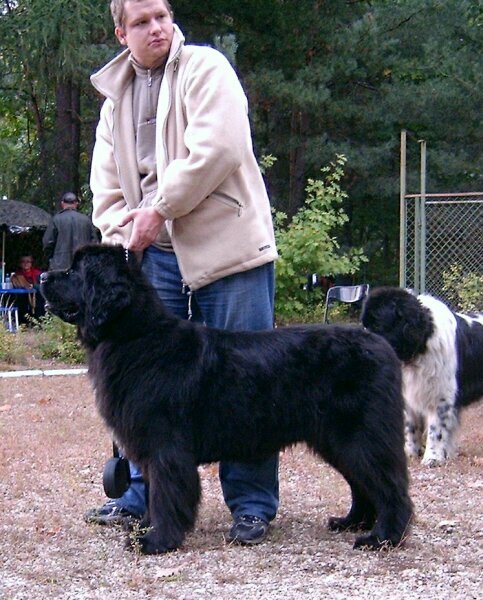 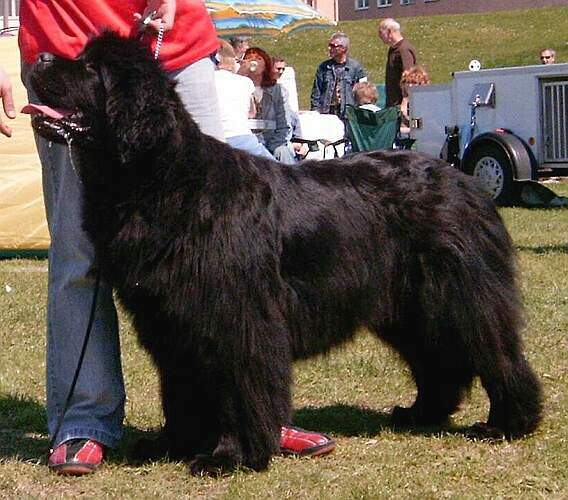 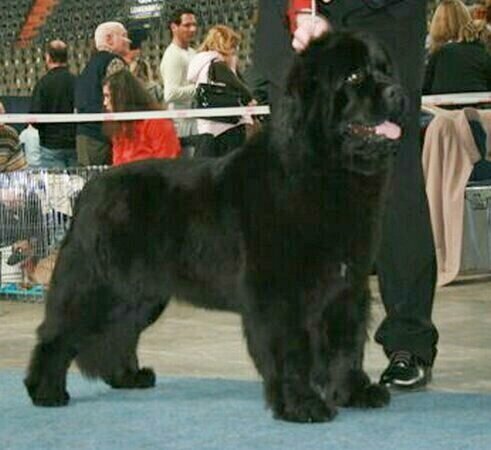 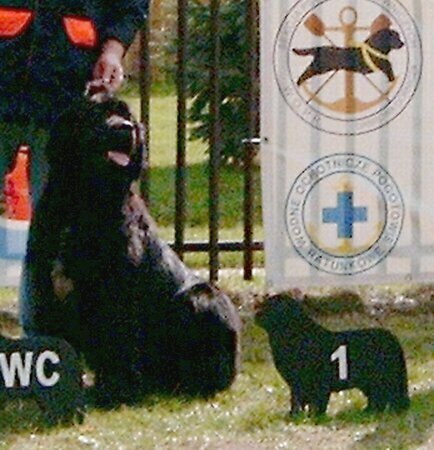 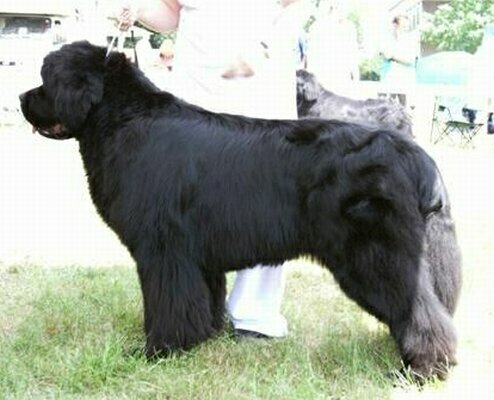 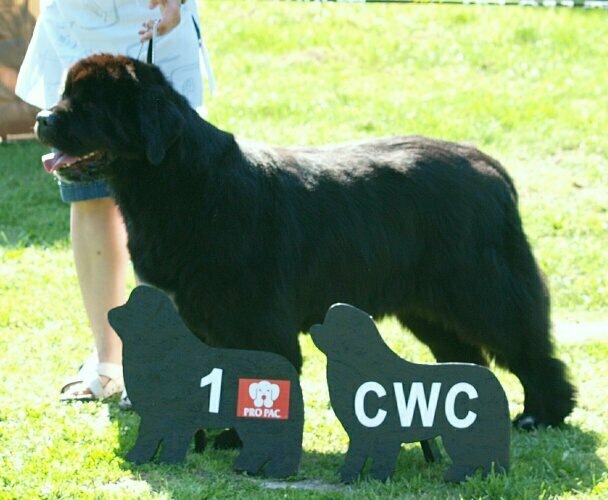 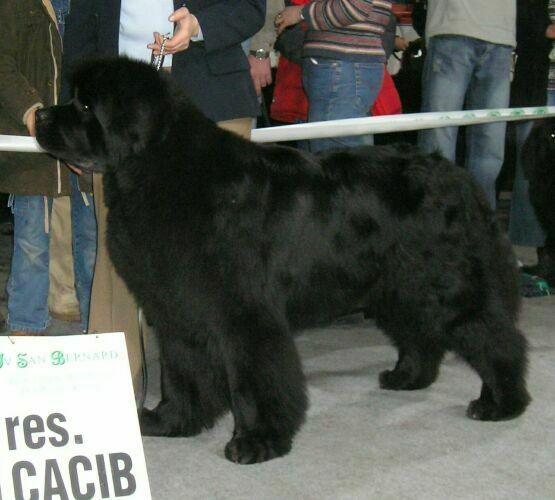 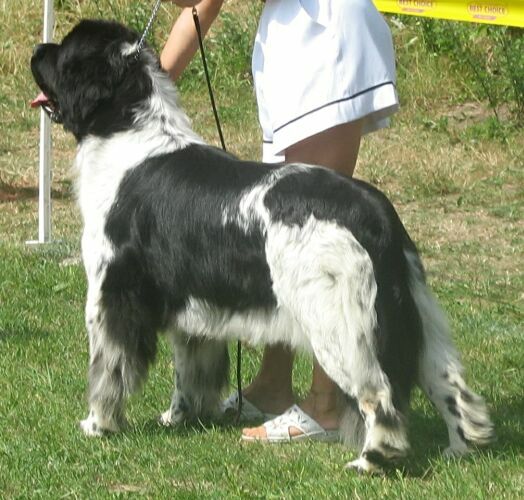 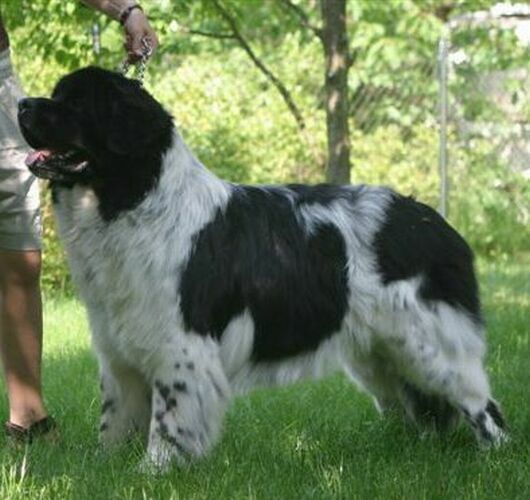 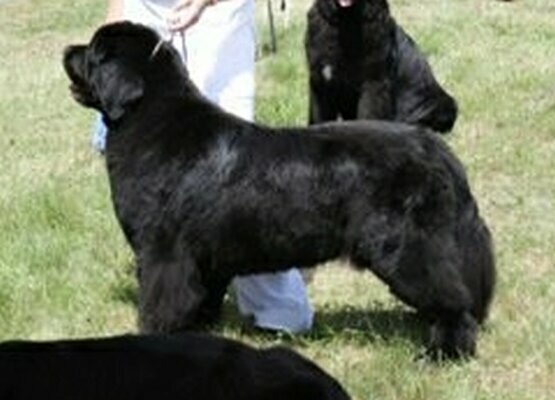 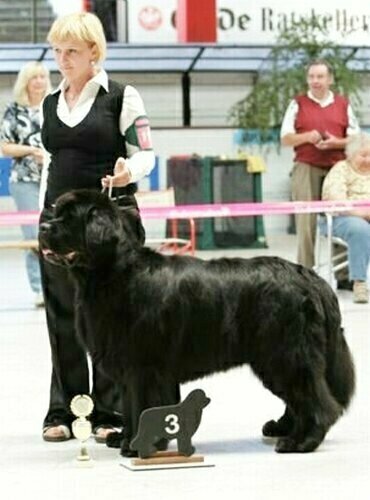 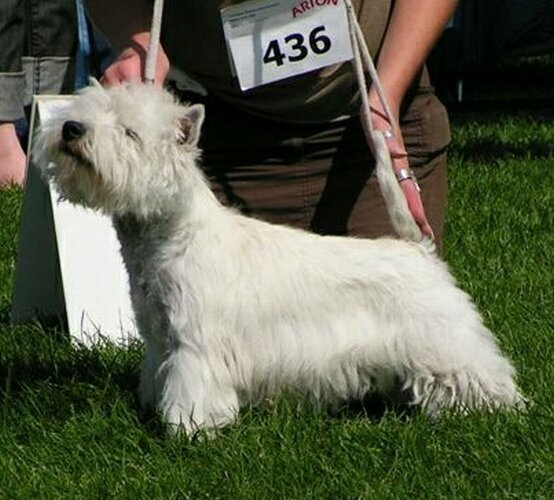 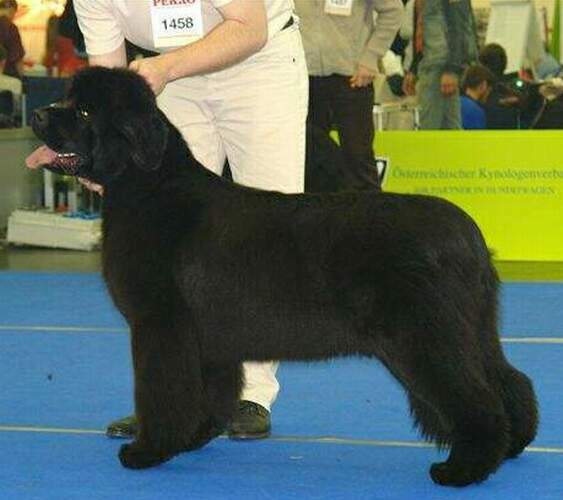 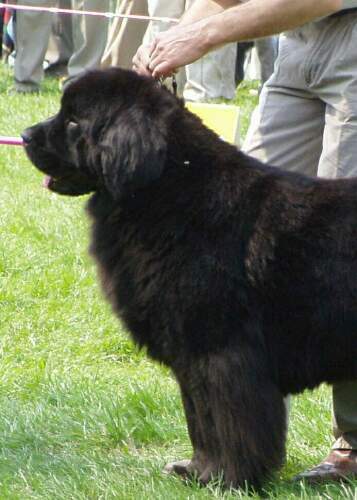 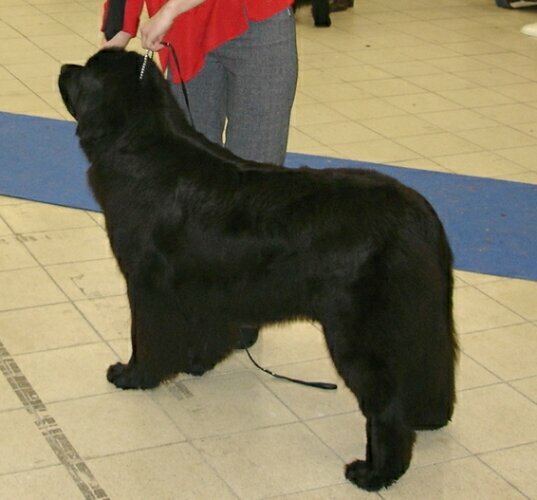 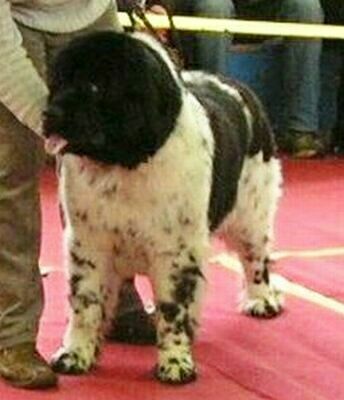 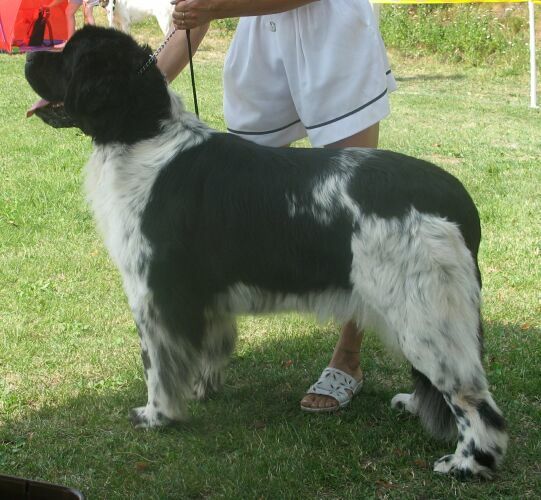 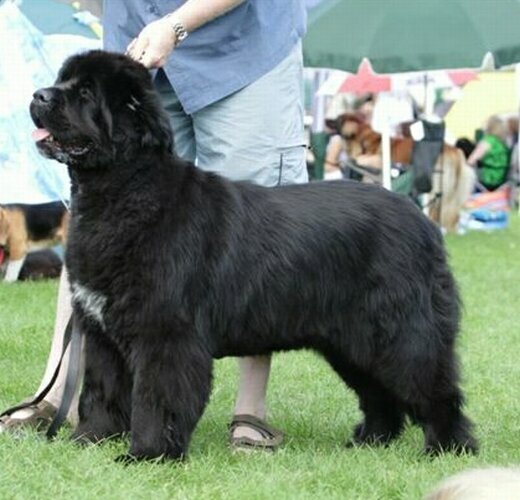 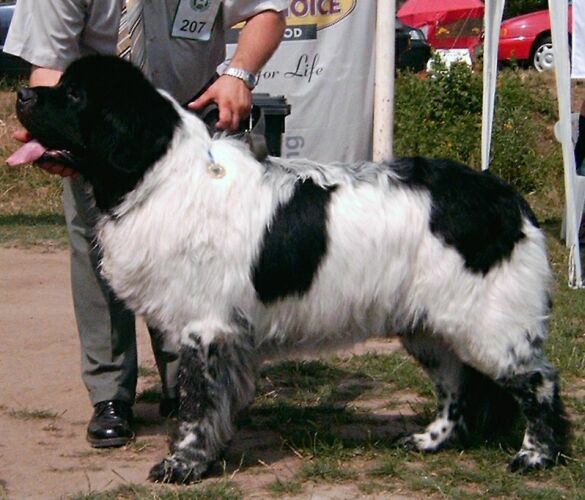 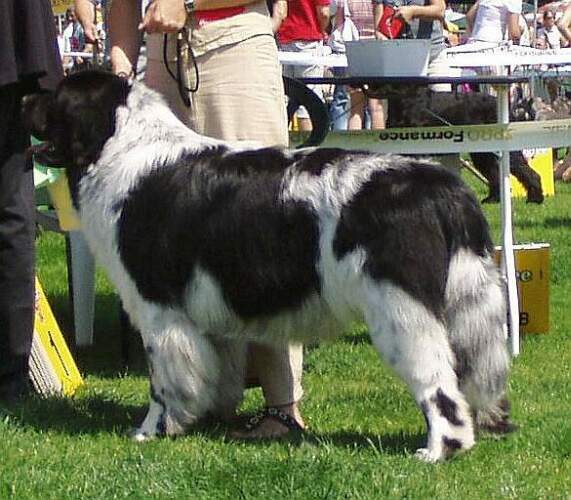 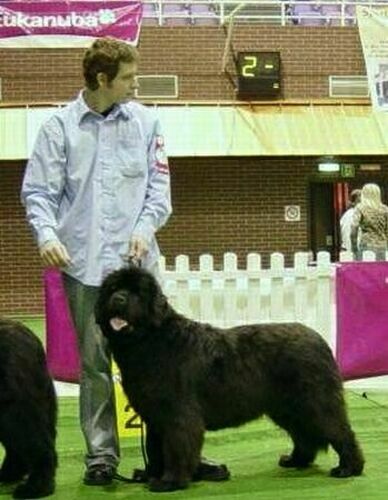 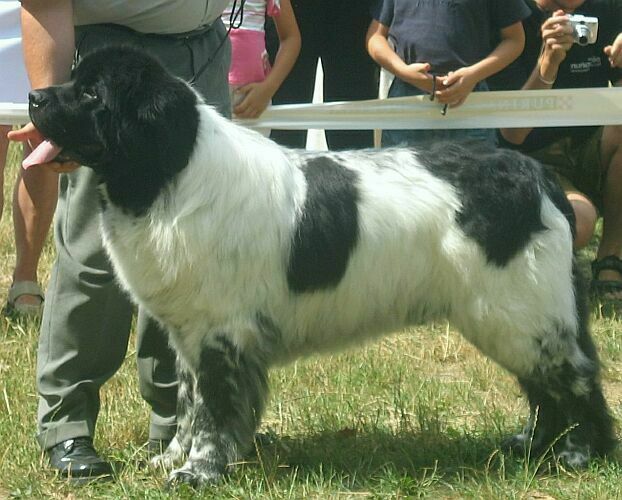 Female: PLJCH, INEZ SEWILLA Wichrowe Łąki, E1/8, CWC, CACIB, BOB, open class. 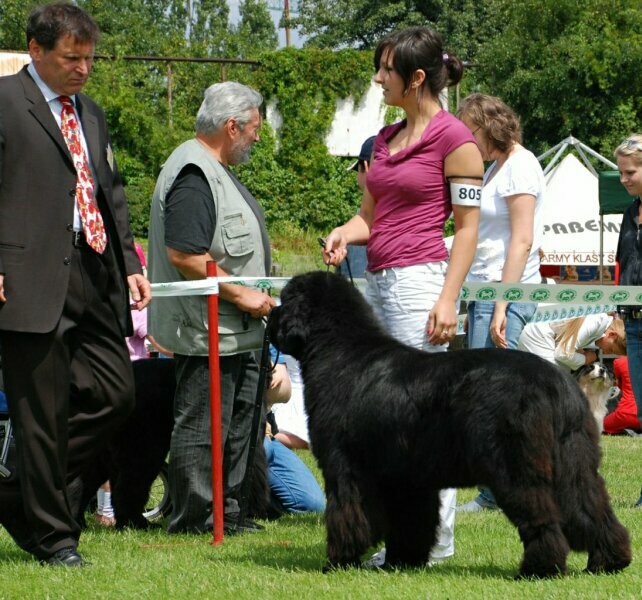 International Dog Show - KRAKÓW, 27/28.06.2009. 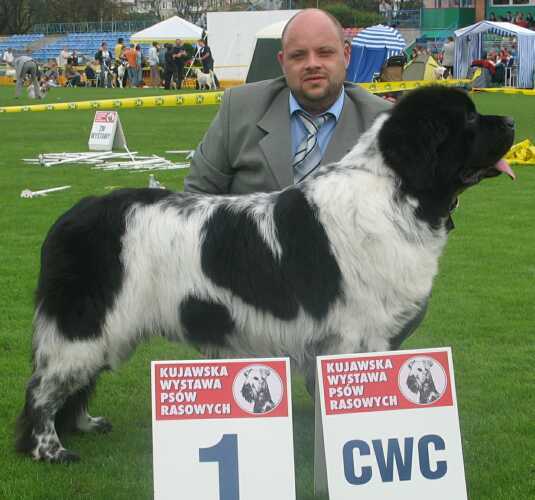 Judge: Paweł Szemraj. 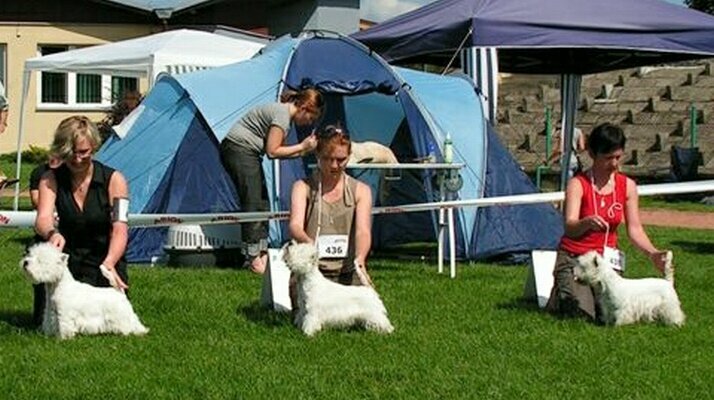 International Dog Show - LESZNO, 23/24.05.2009. 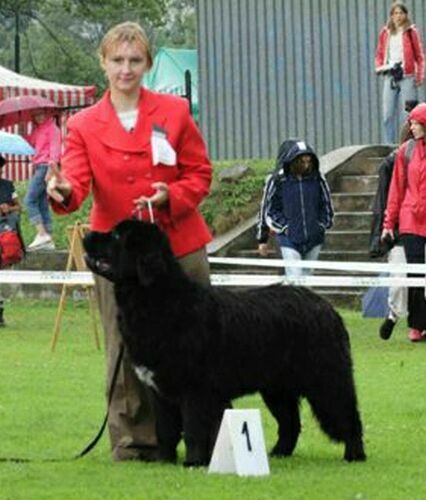 Judge: Joanna Szczepańska-Korpetta (Poland). 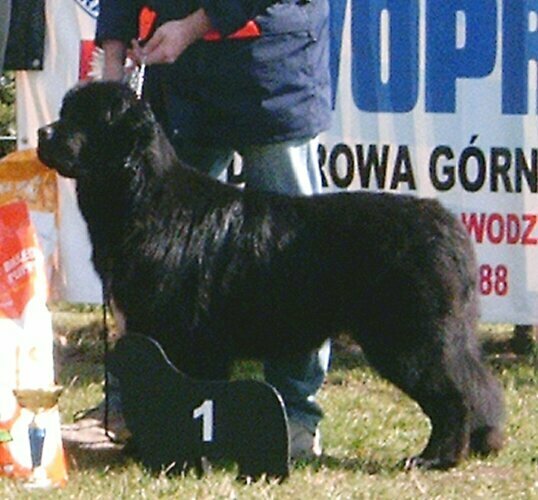 Male: LOKIS DUET Wichrowe Łąki, E2/3, Junior class. 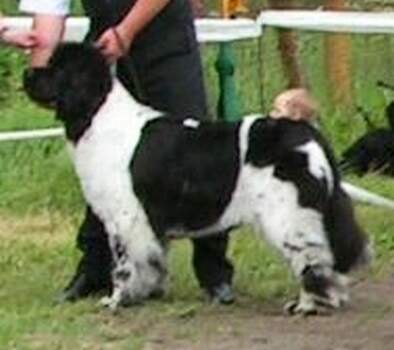 Female: PLJCH, INEZ SEWILLA Wichrowe Łąki, E2/6, Res.CACIB, intermediate class. 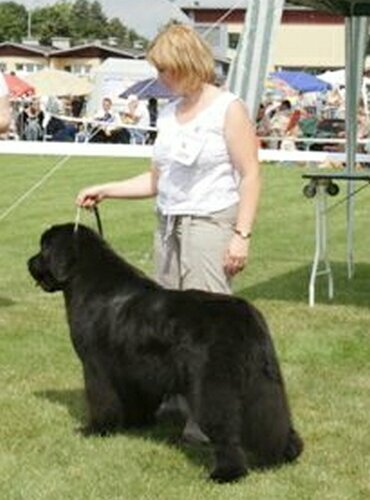 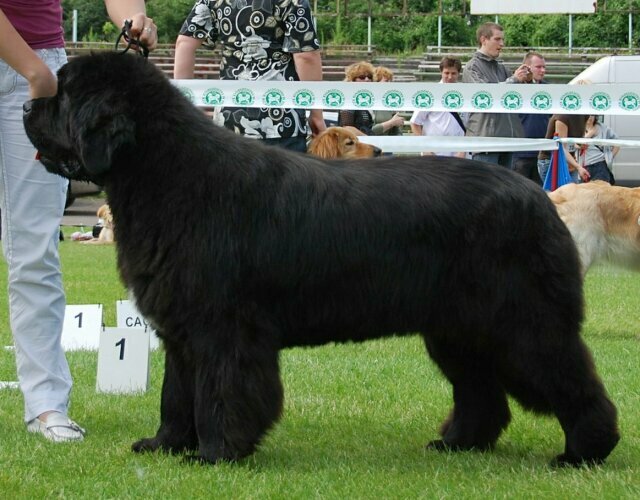 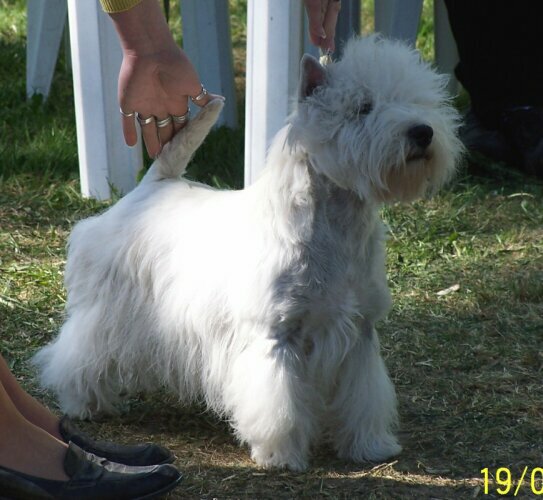 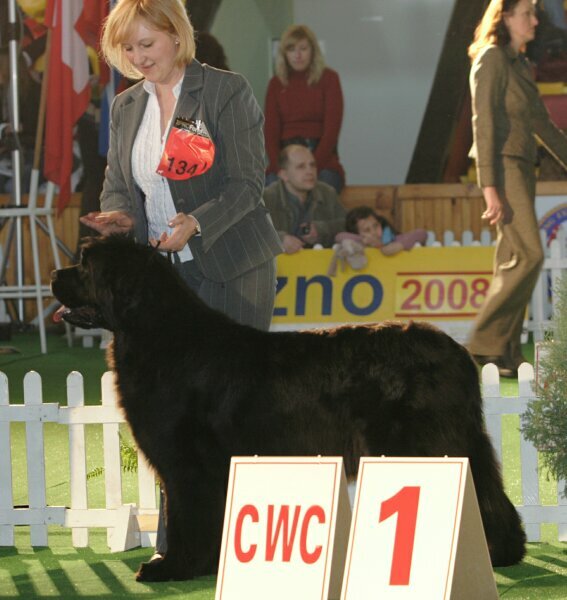 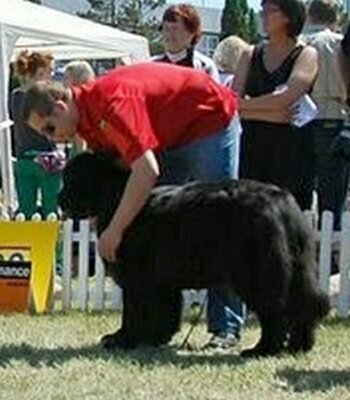 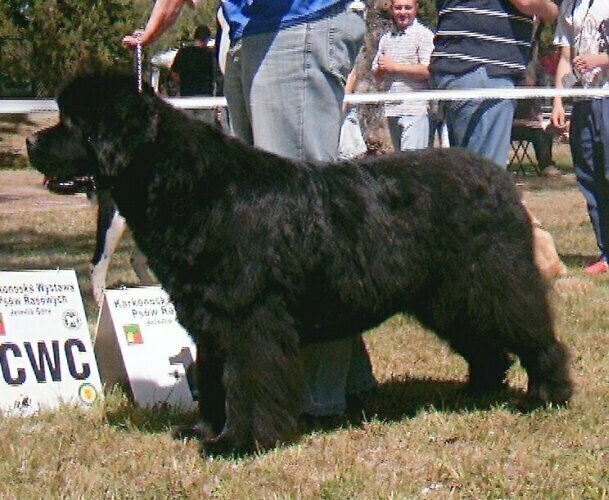 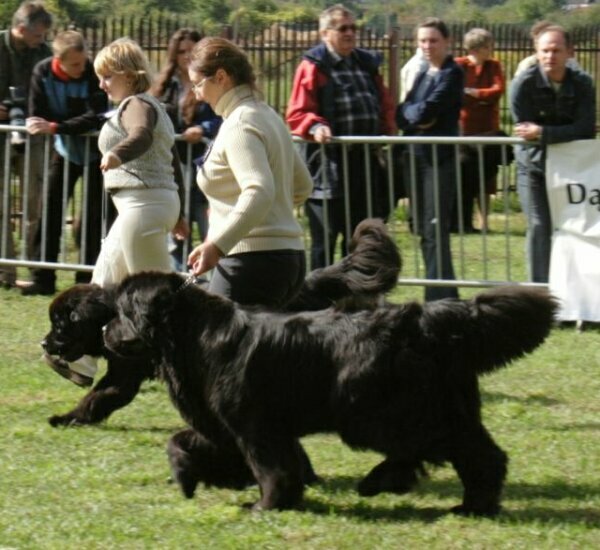 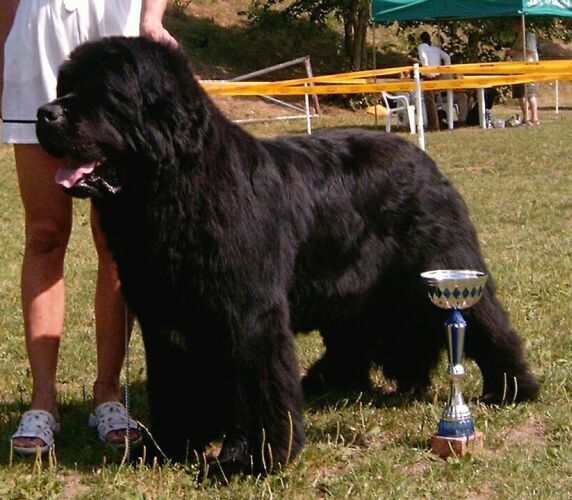 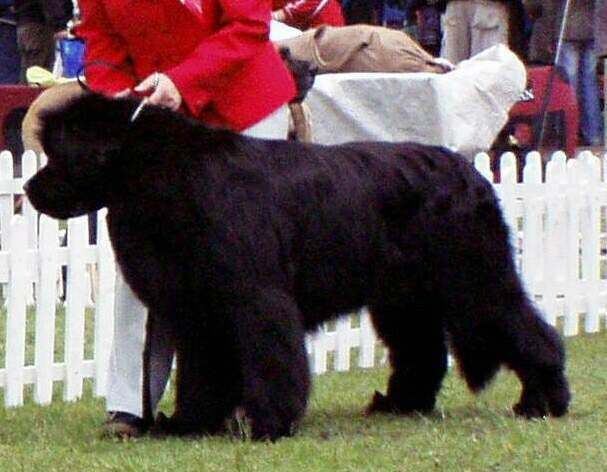 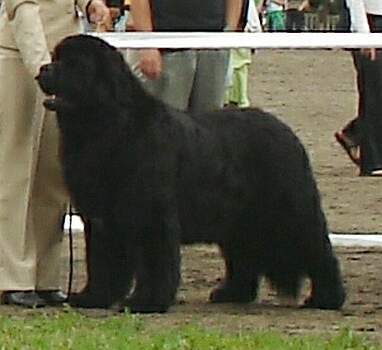 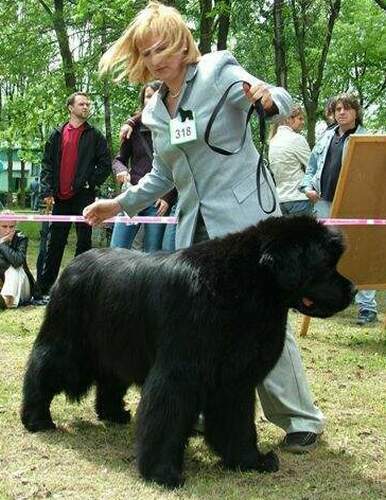 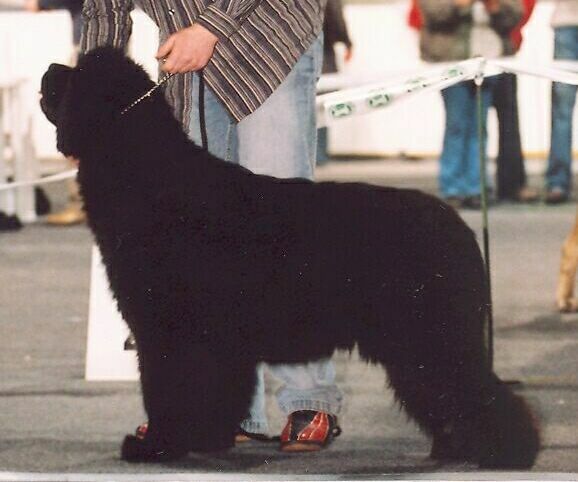 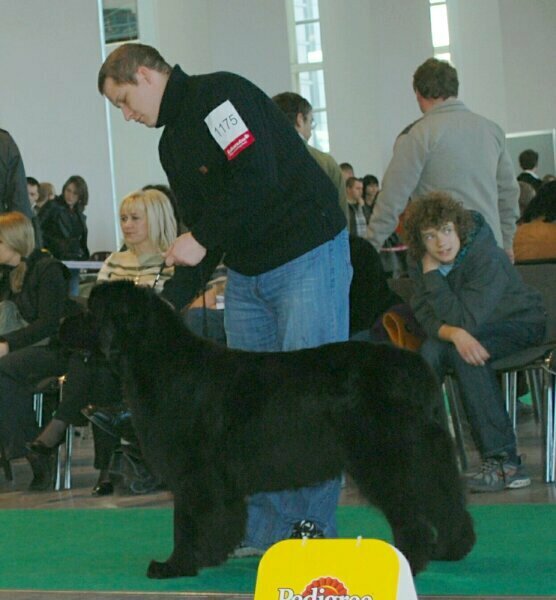 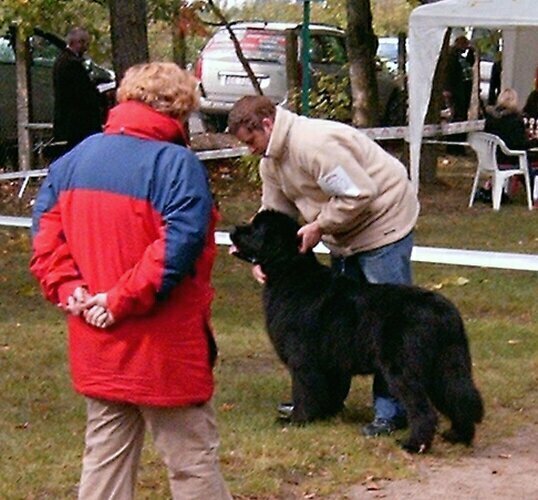 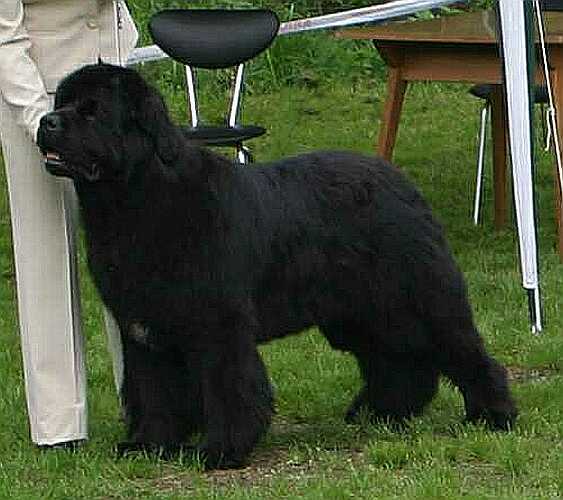 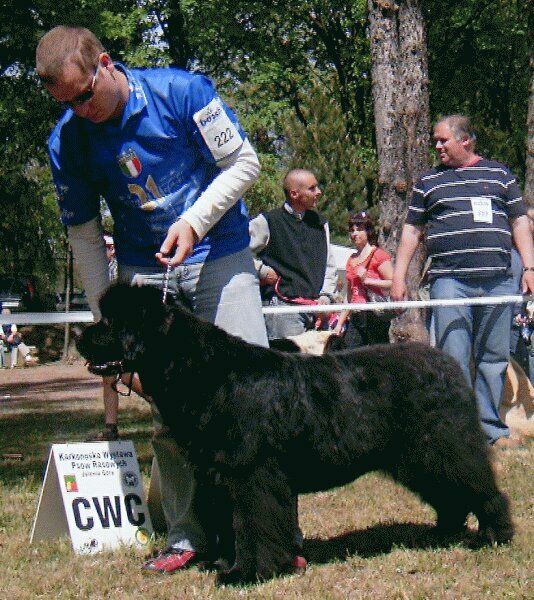 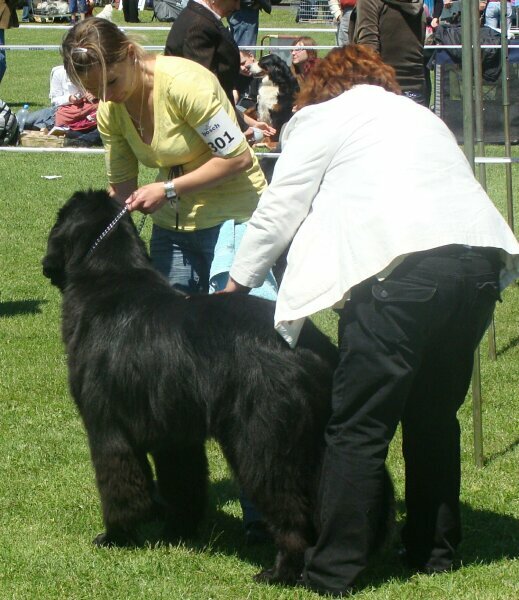 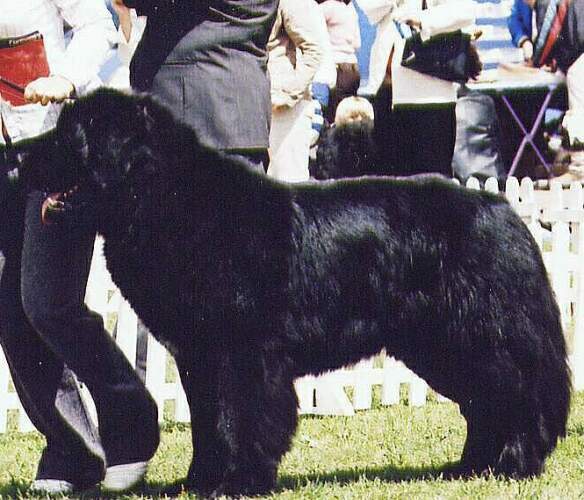 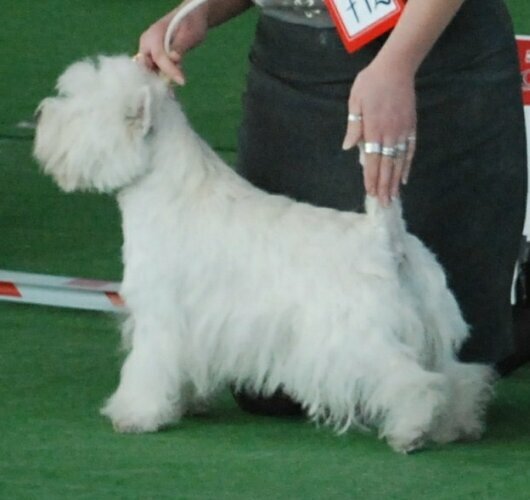 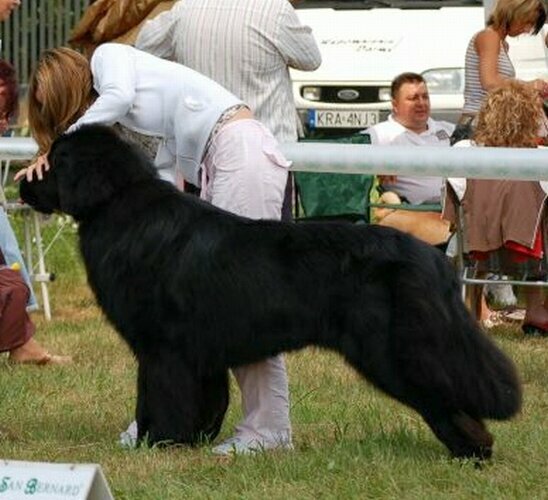 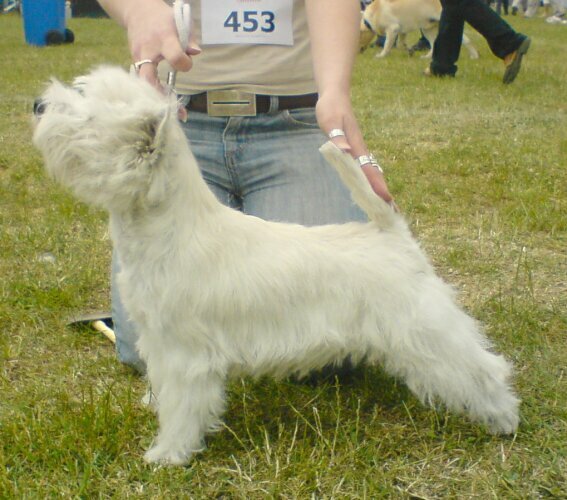 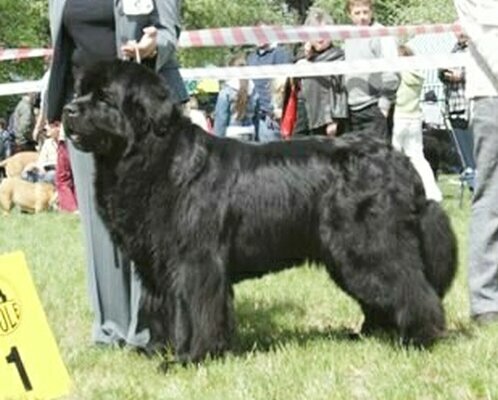 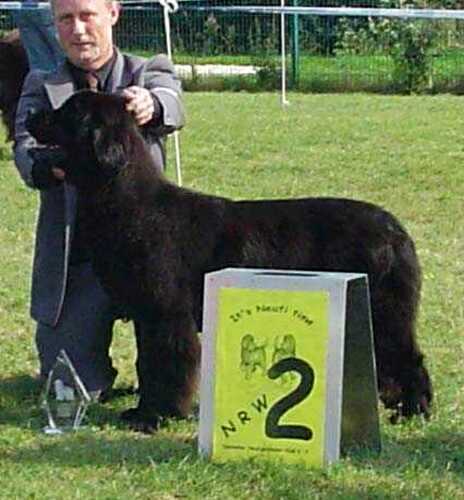 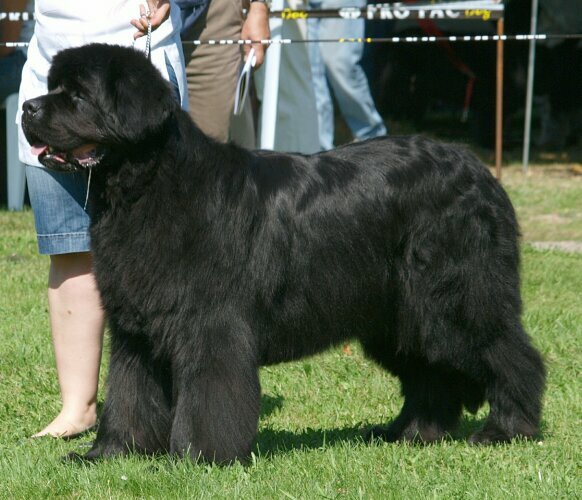 Female: PLJCH, PLCH XIRELLA VICKI Wichrowe Łąki, E2/2, champion class. 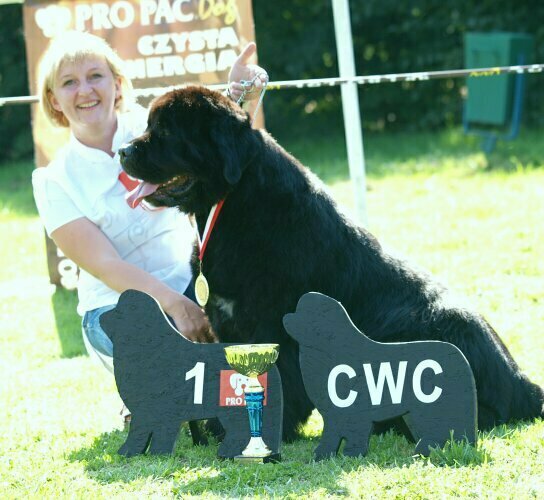 Inez na wystawie w Lublinie ukończyła Polish Junior Champion. 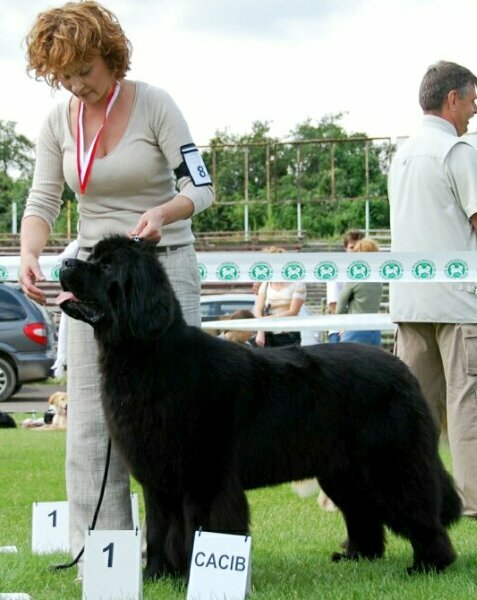 Female: ELISABETH QUEEN Wichrowe Łąki, E2, Res. 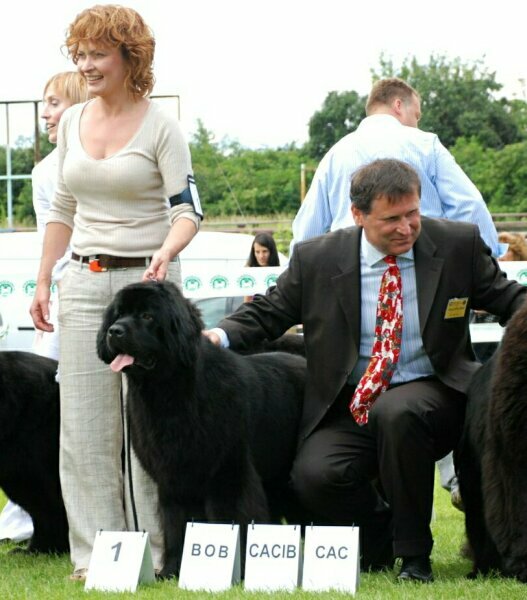 CAC Judge : Tibor Havelka (Slowacja). 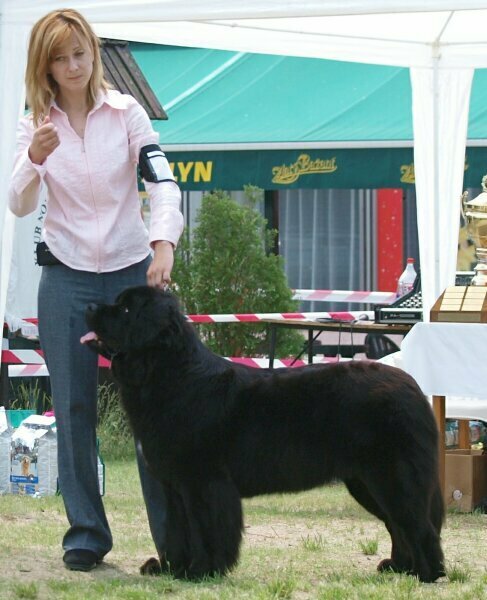 Female: INEZ SEWILLA Wichrowe Łąki, Winner of Junior, E1/4. 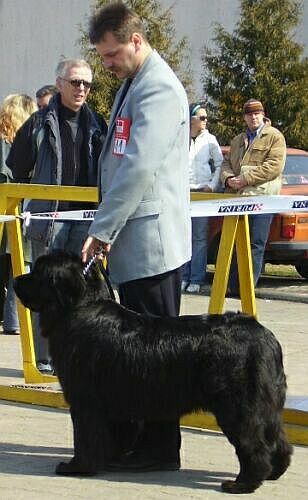 Judge : Andrzej Kot (Poland). 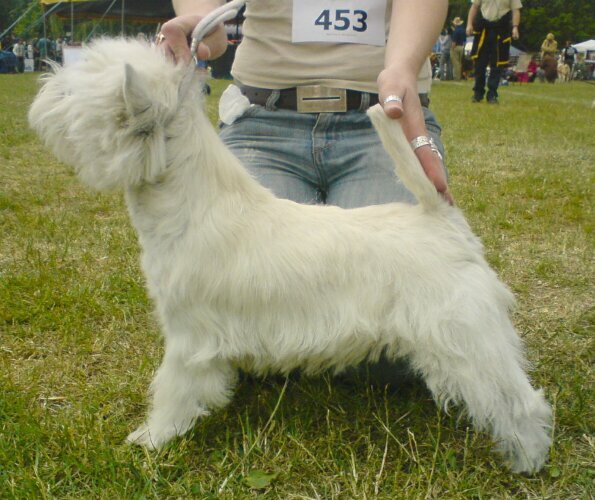 Female: FIFKA Wichrowe Łąki, Winner of Junior. 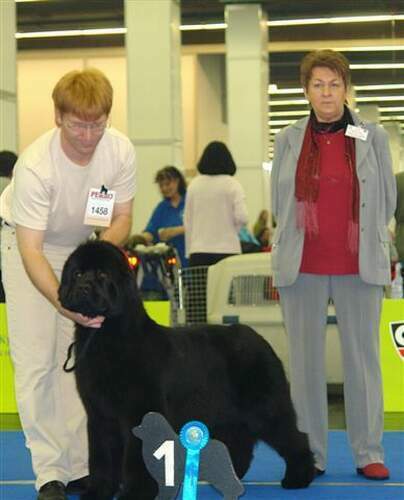 Judge : Karel Horak (Czechy). 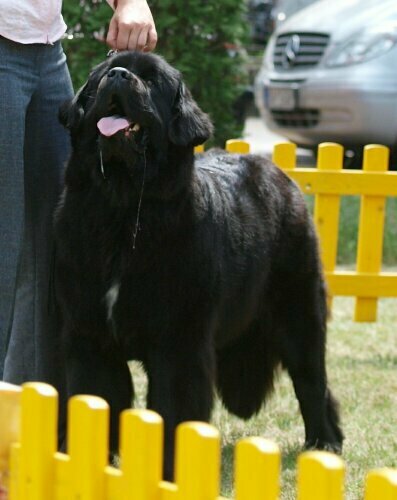 Pies: PLCH ORCADES ORION Wichrowe Łąki, E1, Najlepszy Weteran. 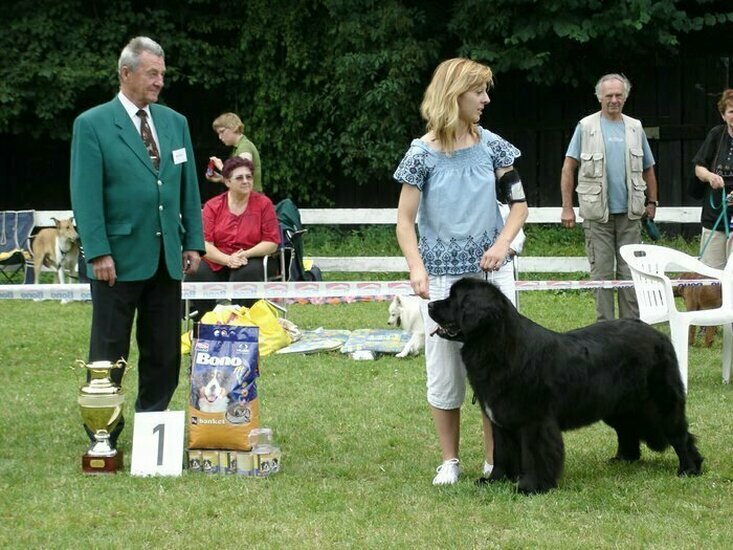 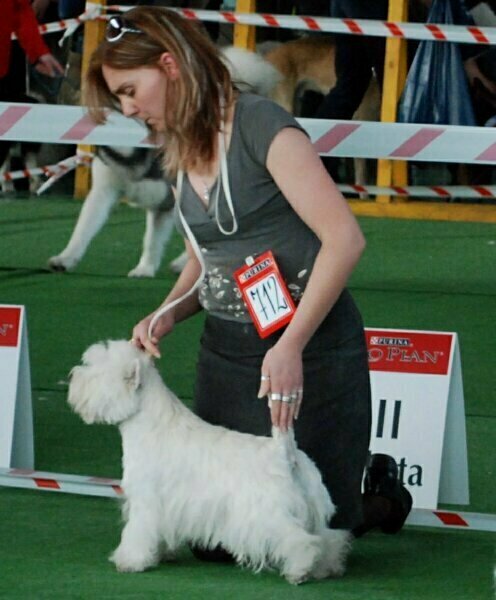 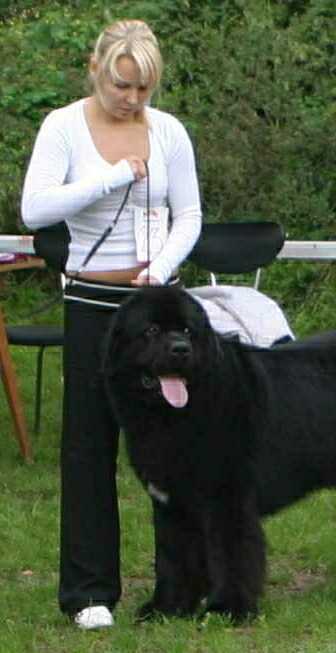 In this show Vicki ended the Junior Champion of Poland. 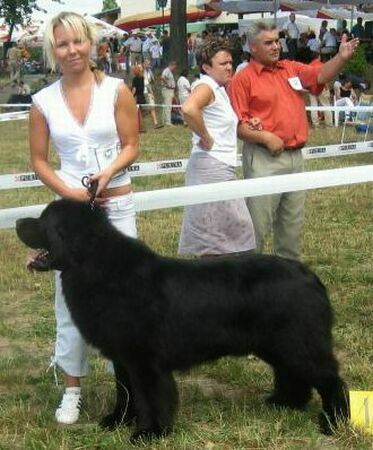 In this show Carmen ended the Champion of Poland. 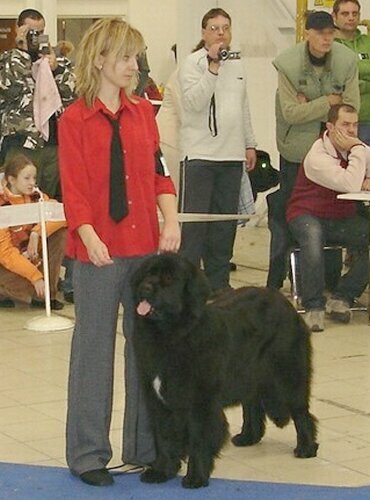 In this show Diva ended the Champion of Poland. 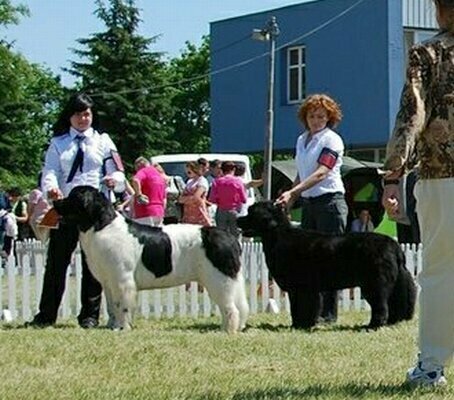 Congratulations for owners. 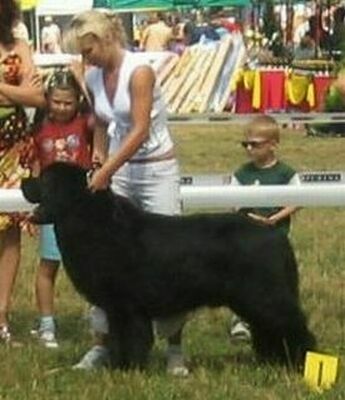 In this show Alkor ended the Champion of Poland. 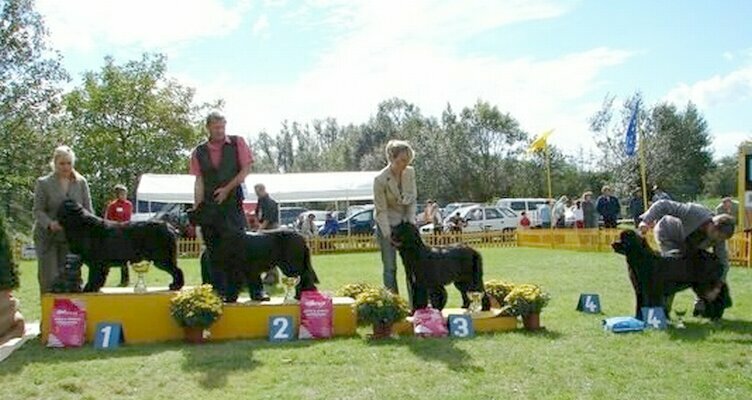 Congratulations for owners!!! 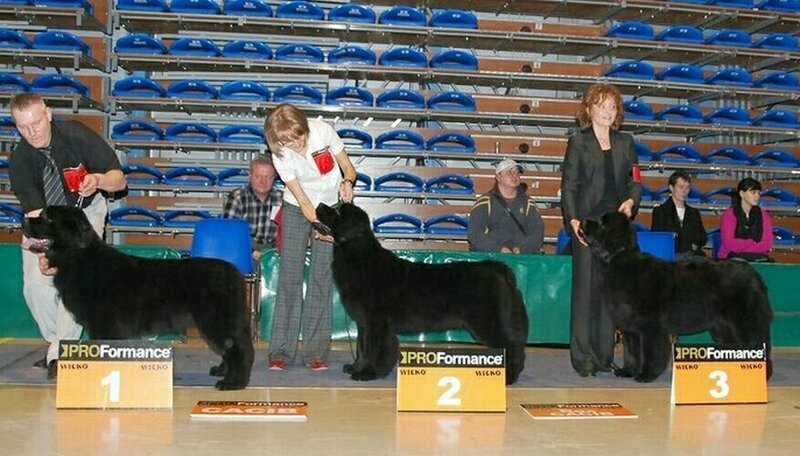 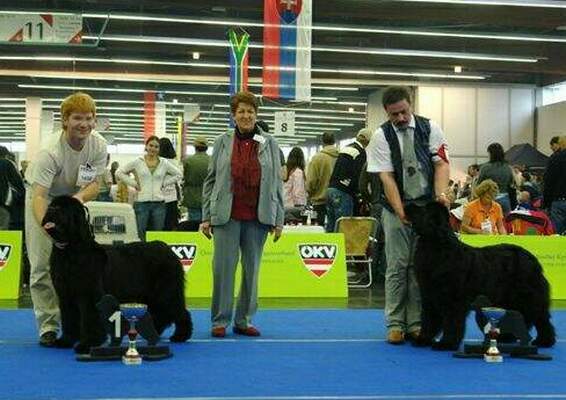 In this show Epikur ended the Junior Champion of Poland. 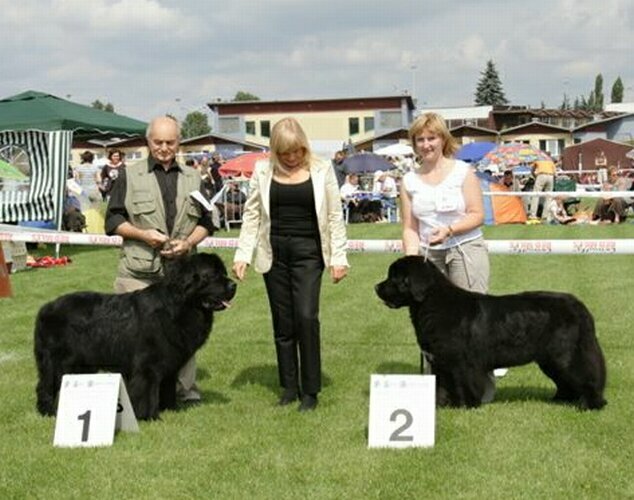 Congratulations for owners!!! 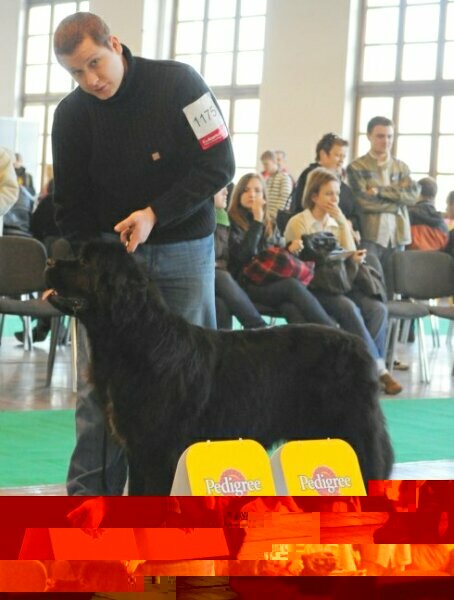 Male: PLJCH, PLCH, ROZMARYN BIS Wichrowe Łąki, CAC, BOB, BOG, in BIS was third!!! 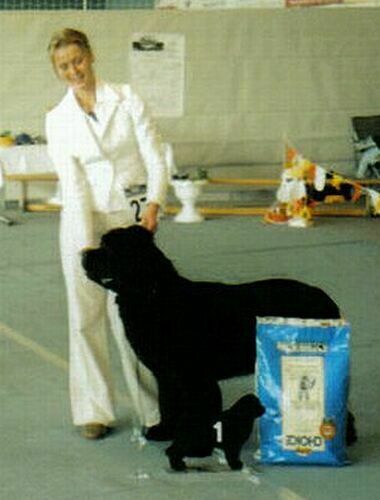 In this show Albertyna ended the Champion of Poland. 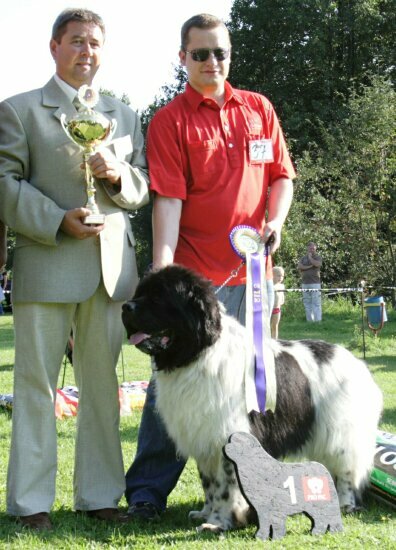 Congratulations for owners. 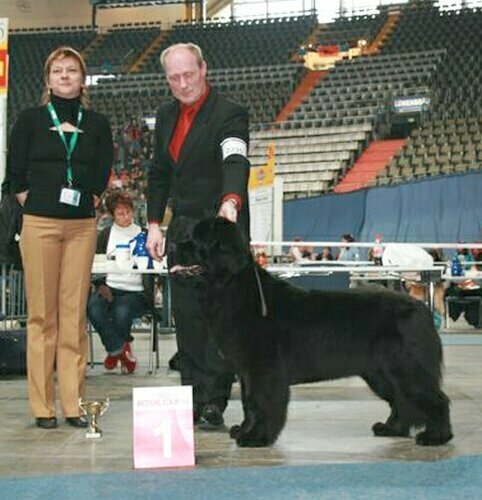 In this show Alpamayo ended the Champion of Poland. 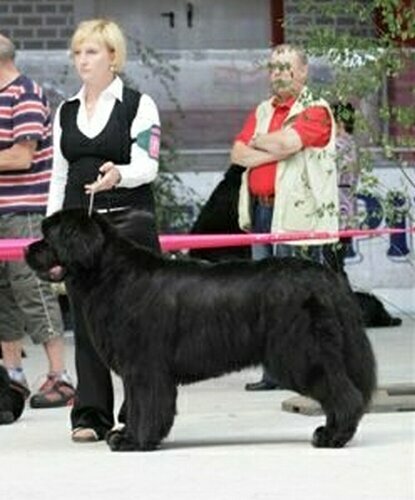 Congratulations for owners!!! 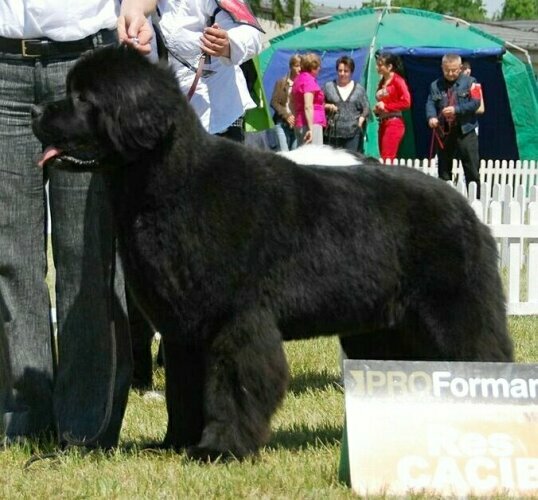 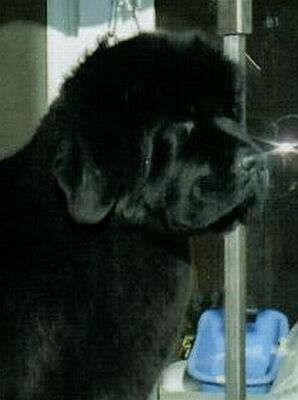 Female: DIAMOND NIXIE FOR APACHEE'S HOME Wichrowe Łąki, CACA, CACIB, BOS, intermediate class. 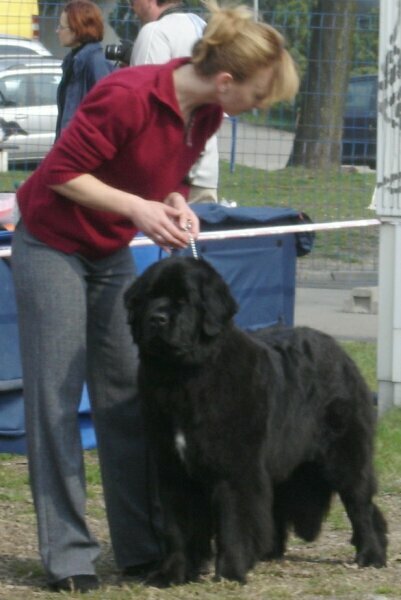 Anw.Dt.Jug.Ch.VND, in competition were 7 females. 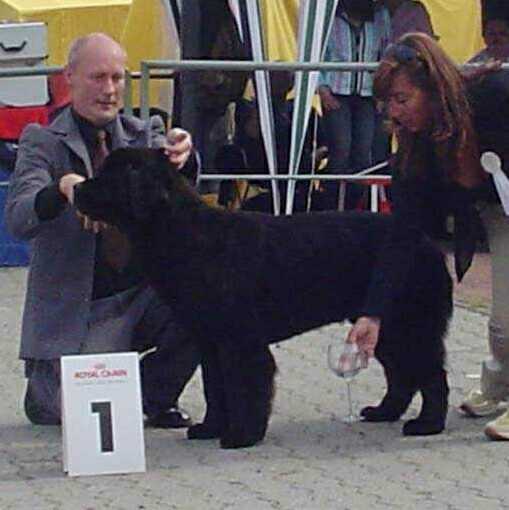 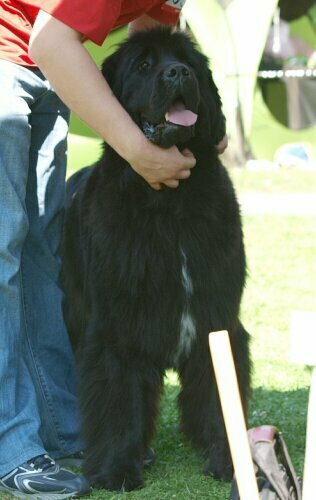 Female: CARMEN CYGANKA Wichrowe Laki, II place, excelent.